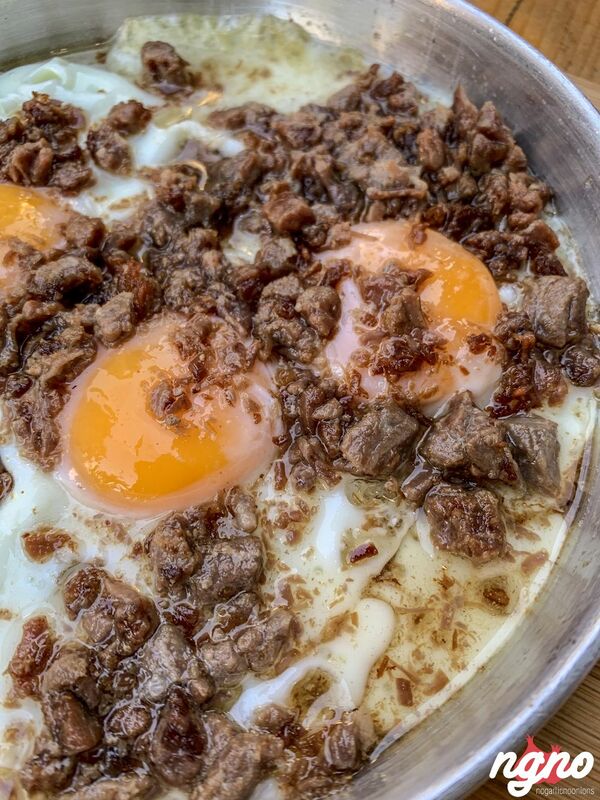 Lamb confit and scrambled eggs is one of the breakfast world’s most sublime combinations. 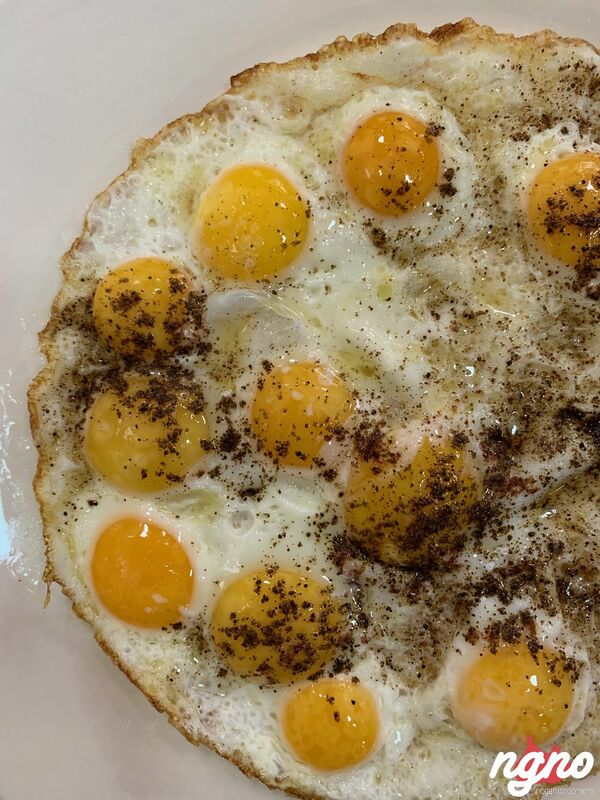 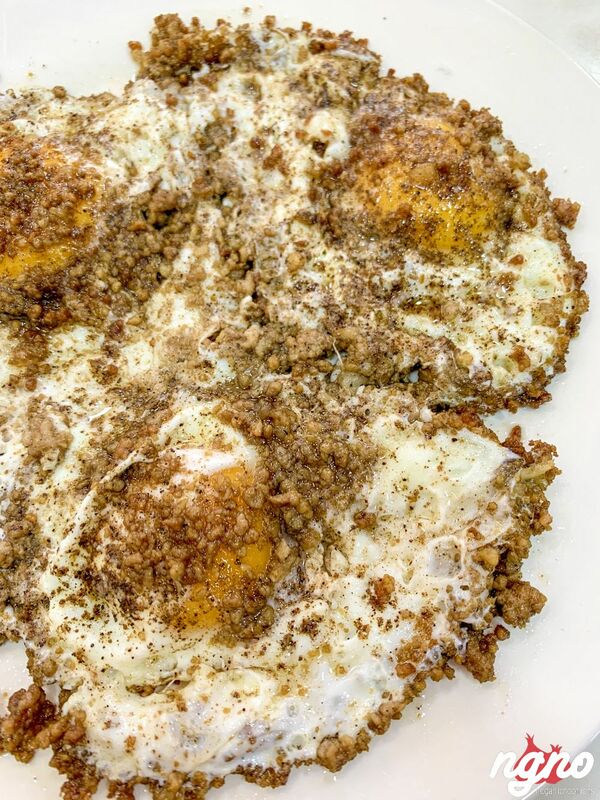 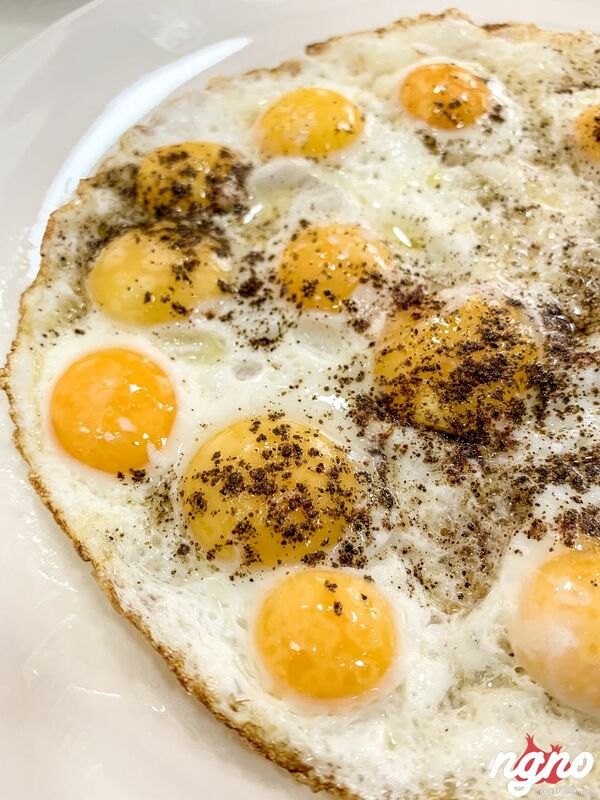 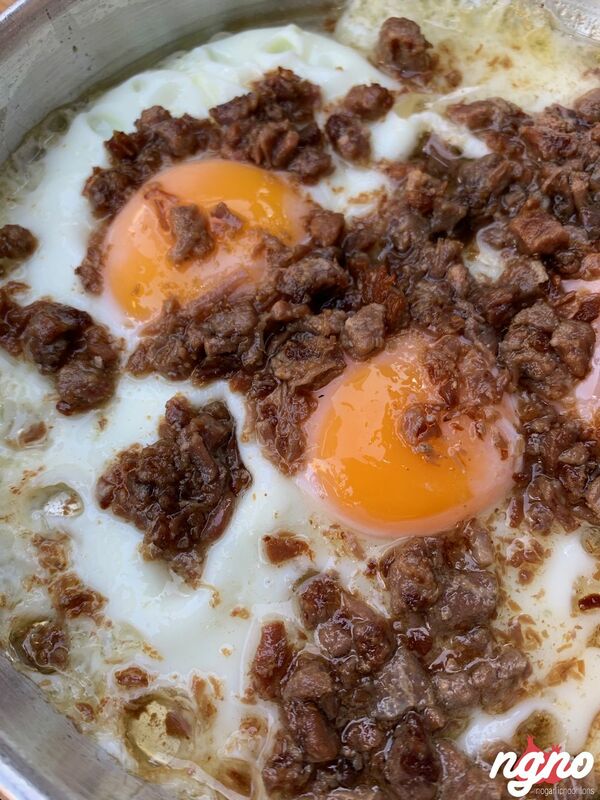 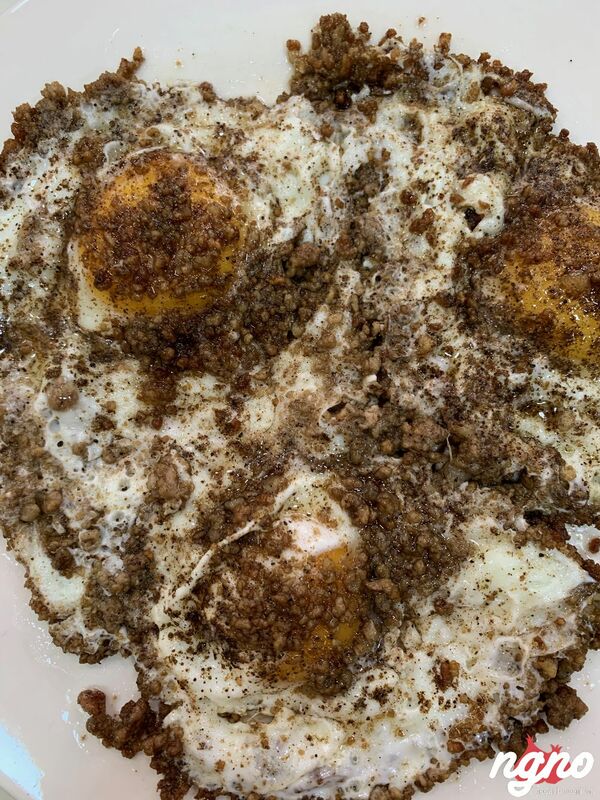 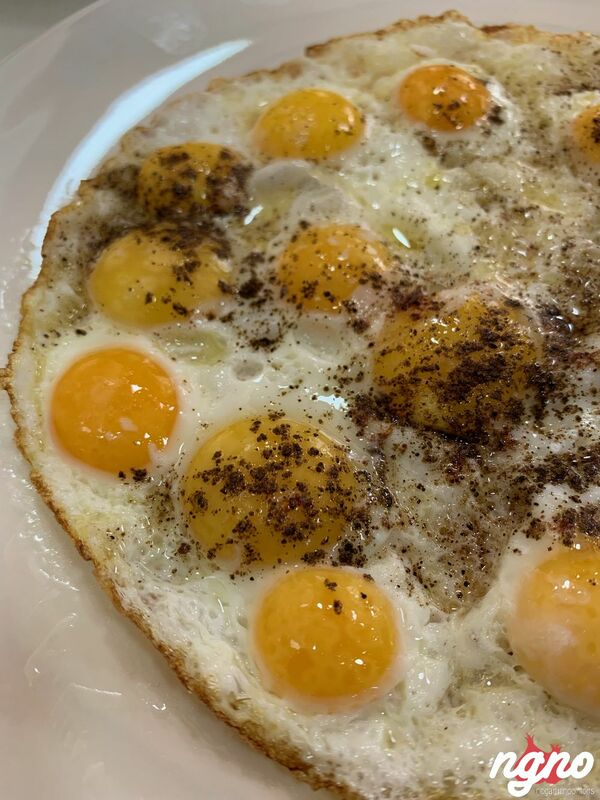 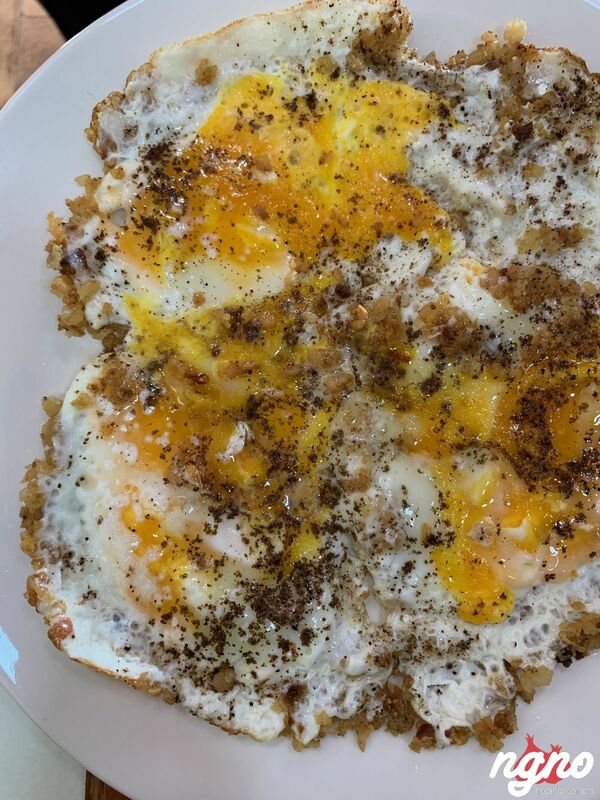 It may sound bizarre at first, but the confit, known as awarma, has a subtle gaminess that, when paired with eggs, tastes familiar and comforting. 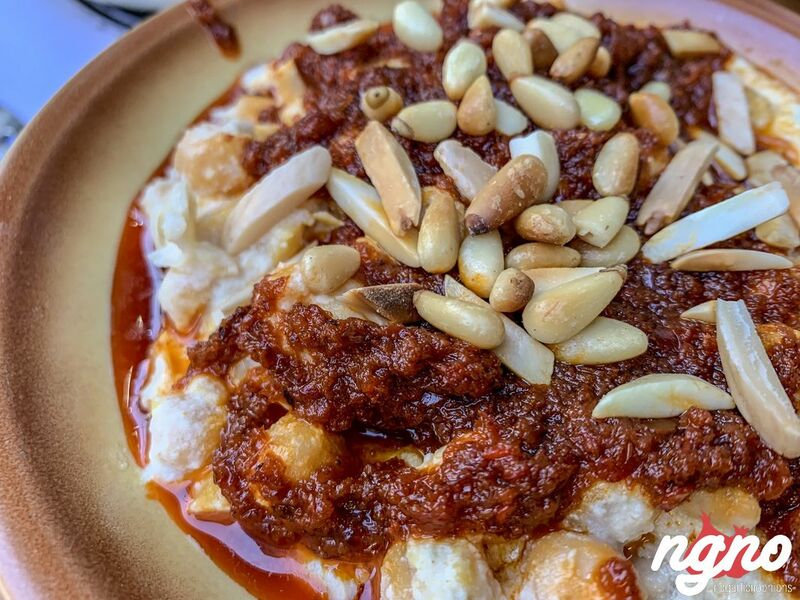 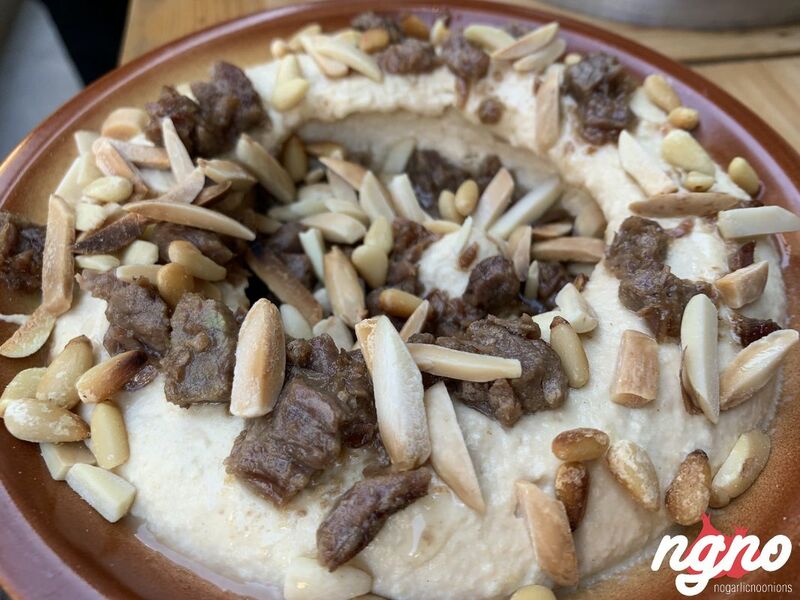 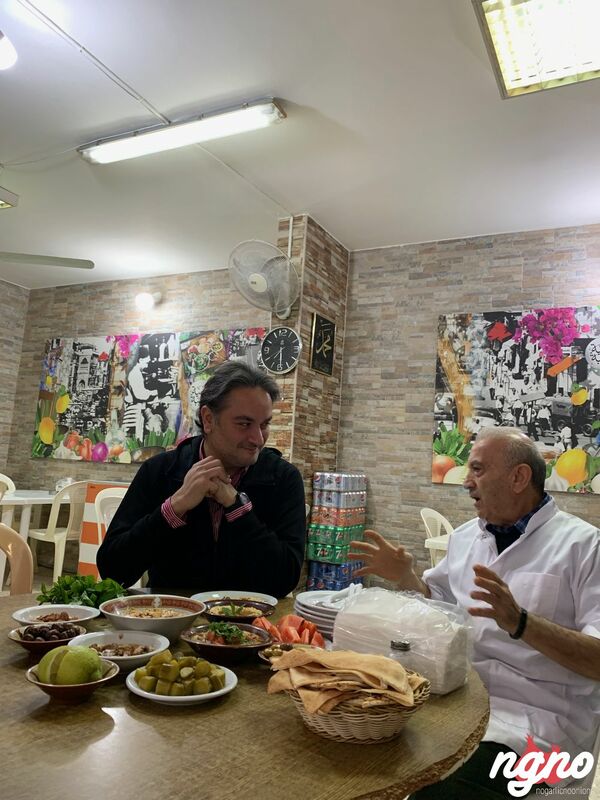 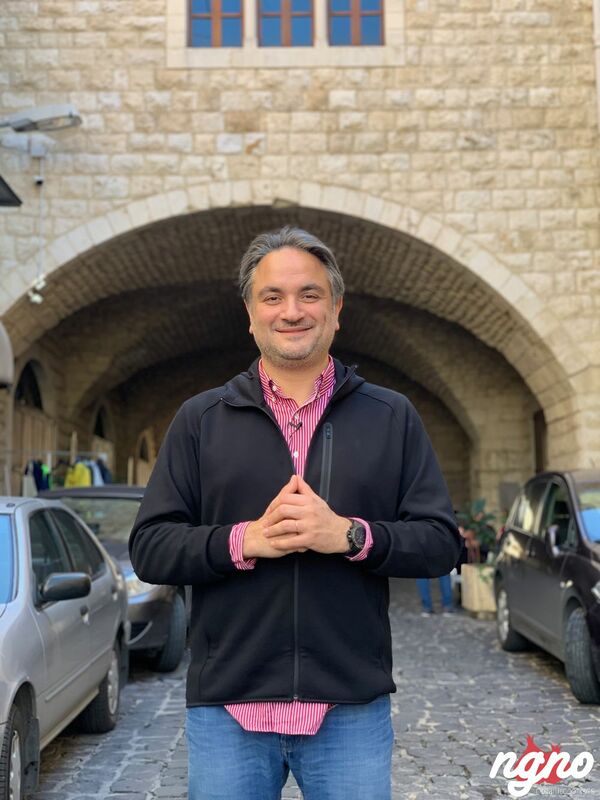 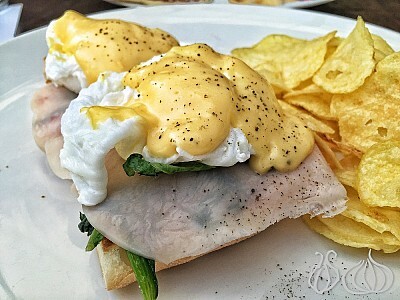 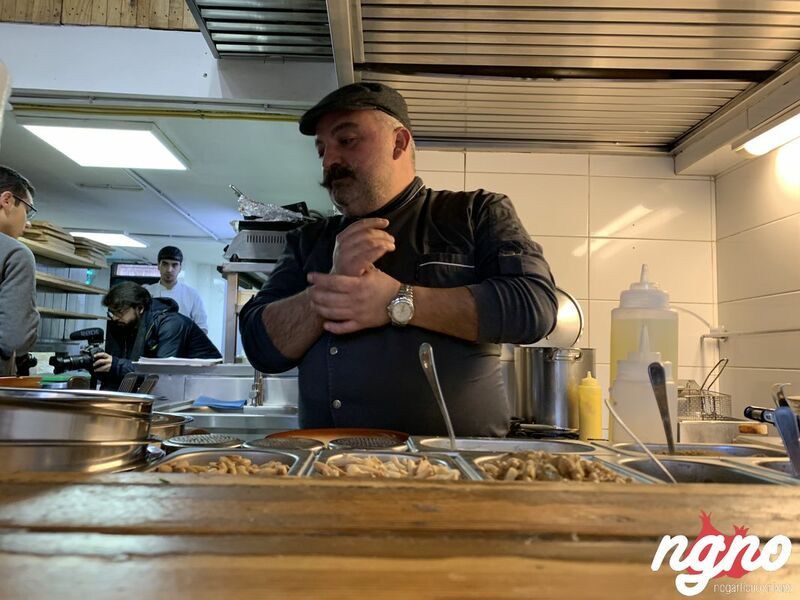 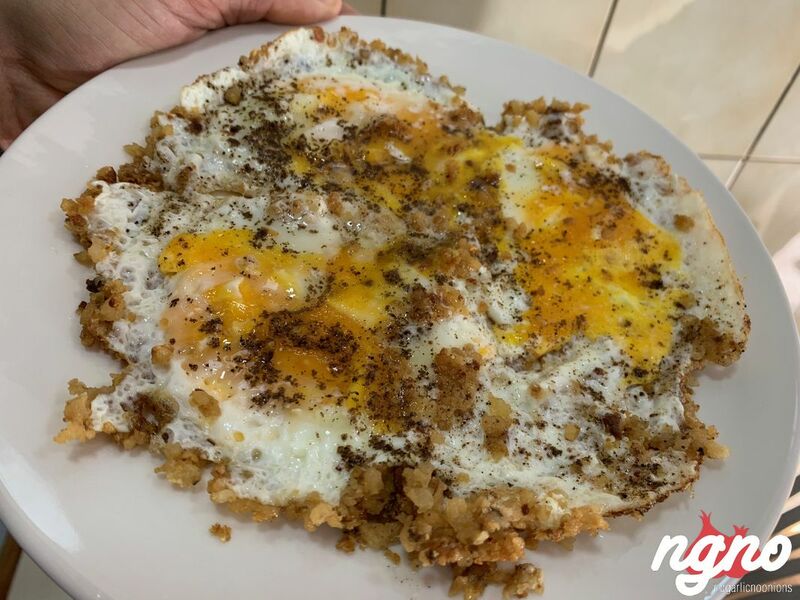 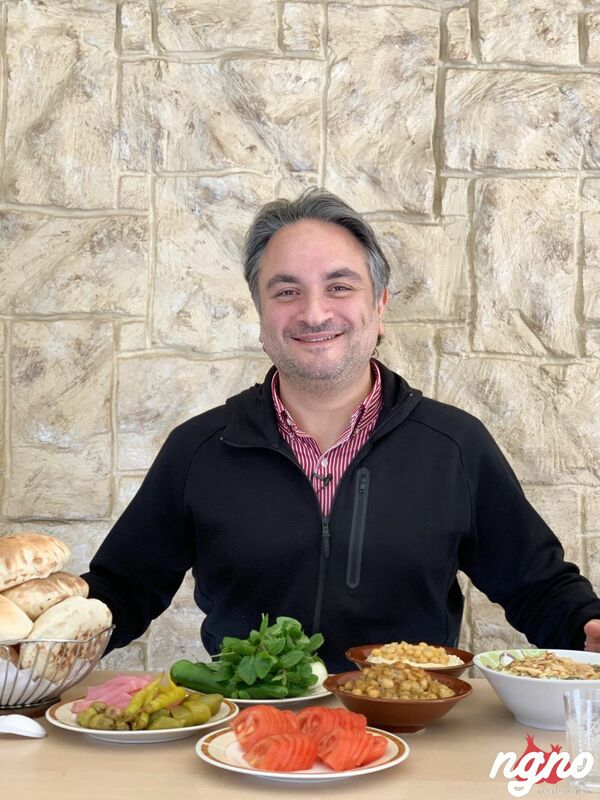 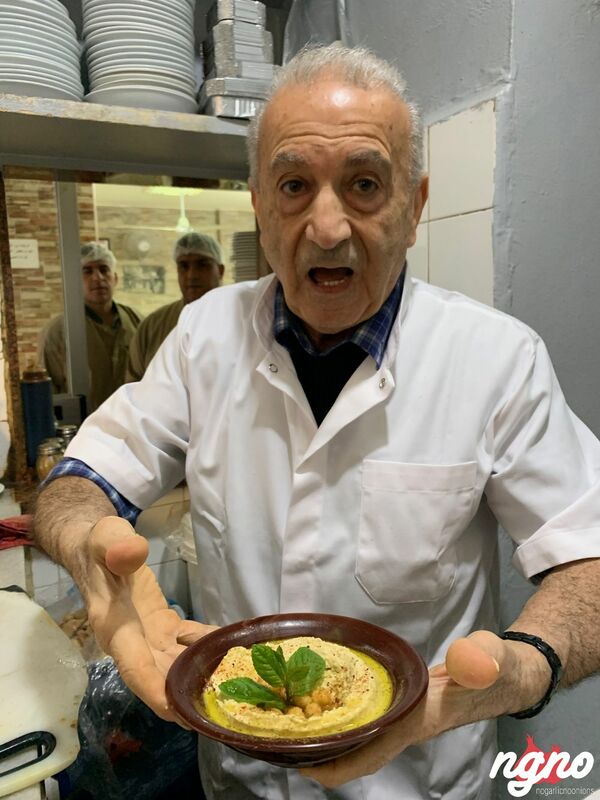 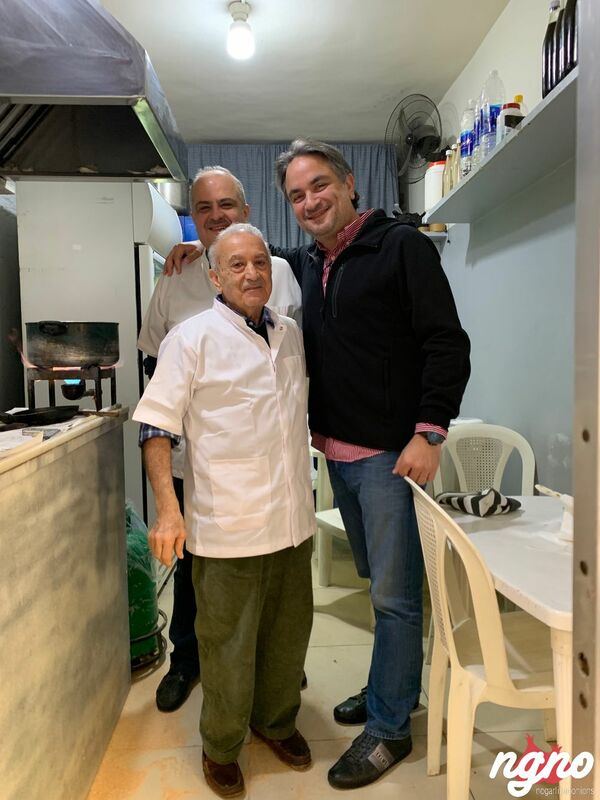 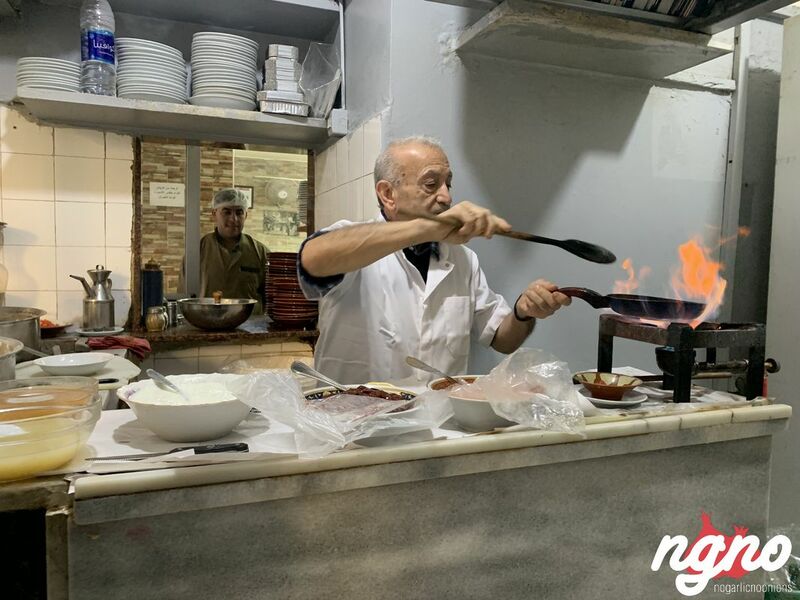 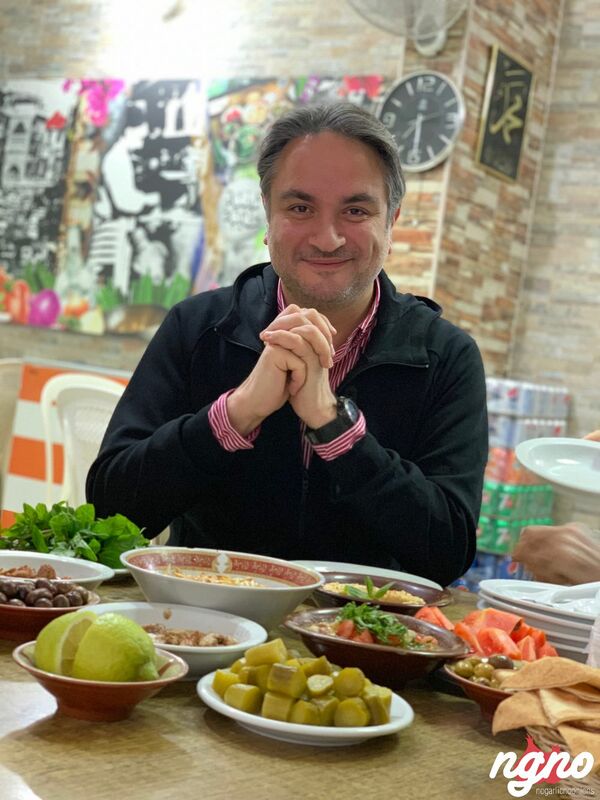 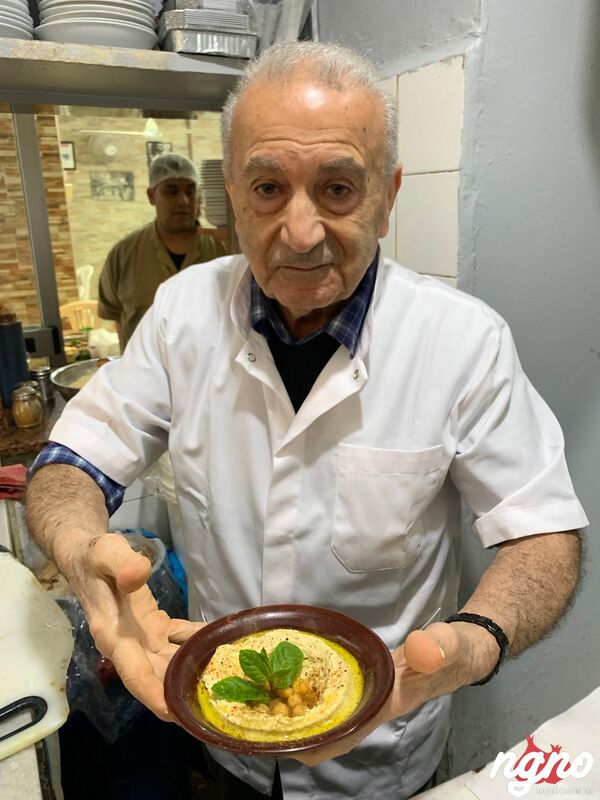 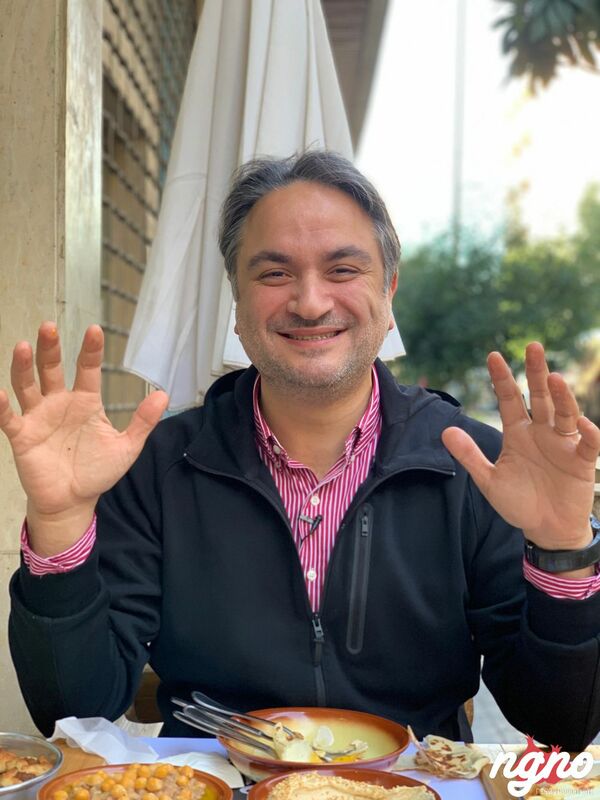 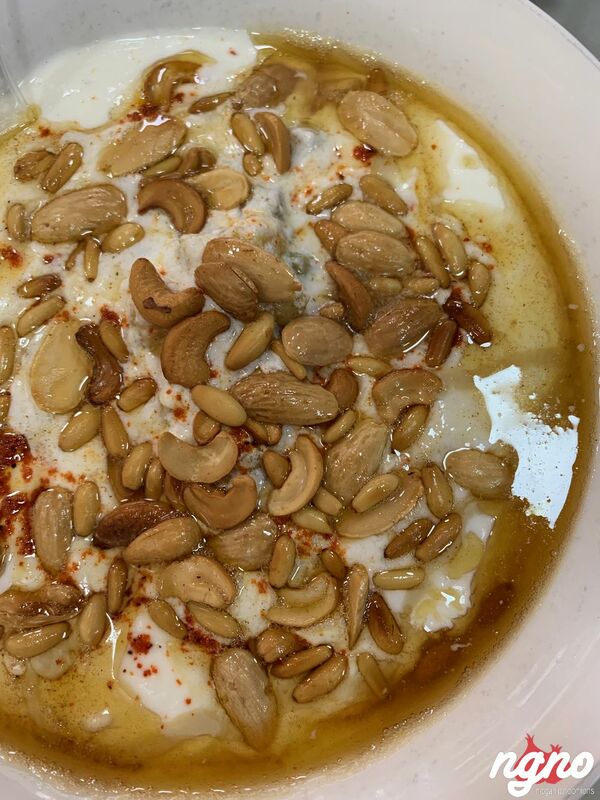 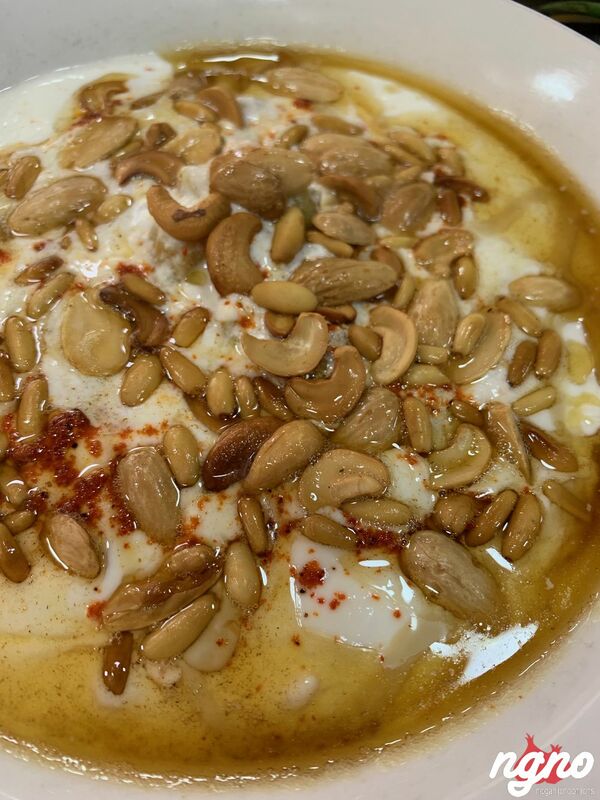 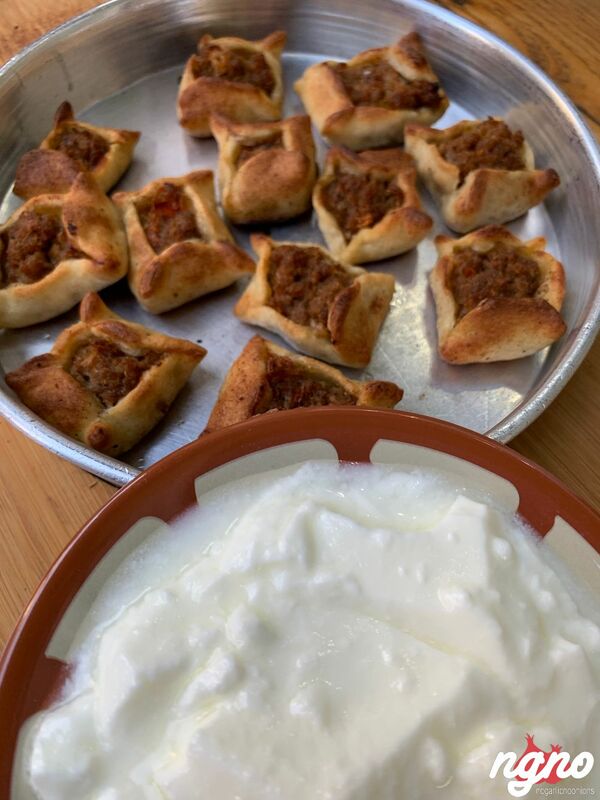 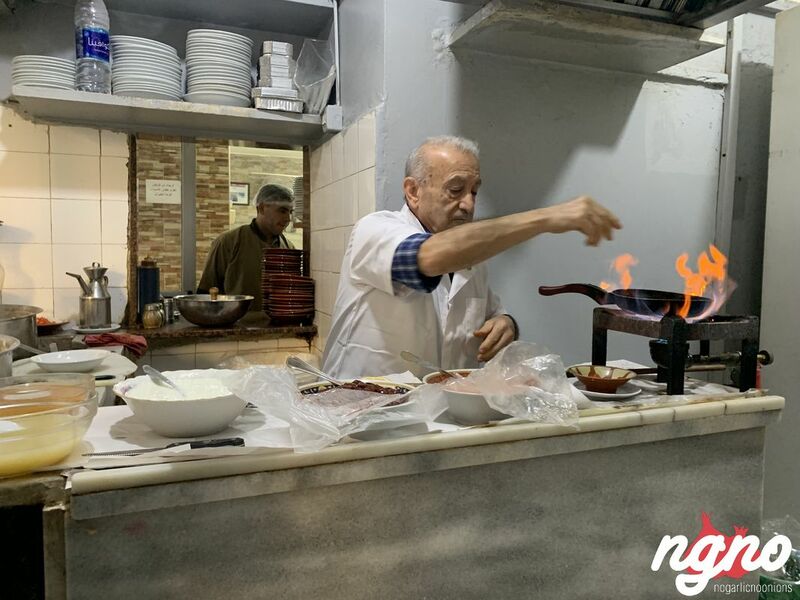 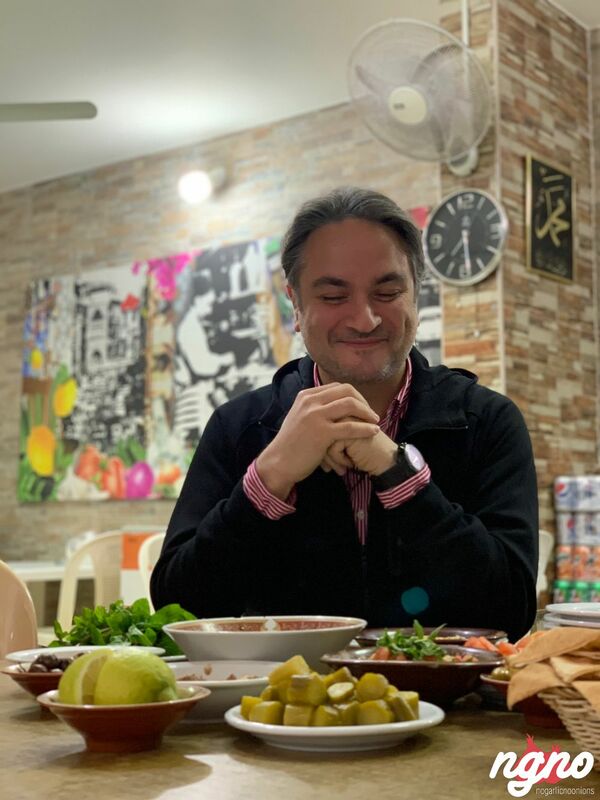 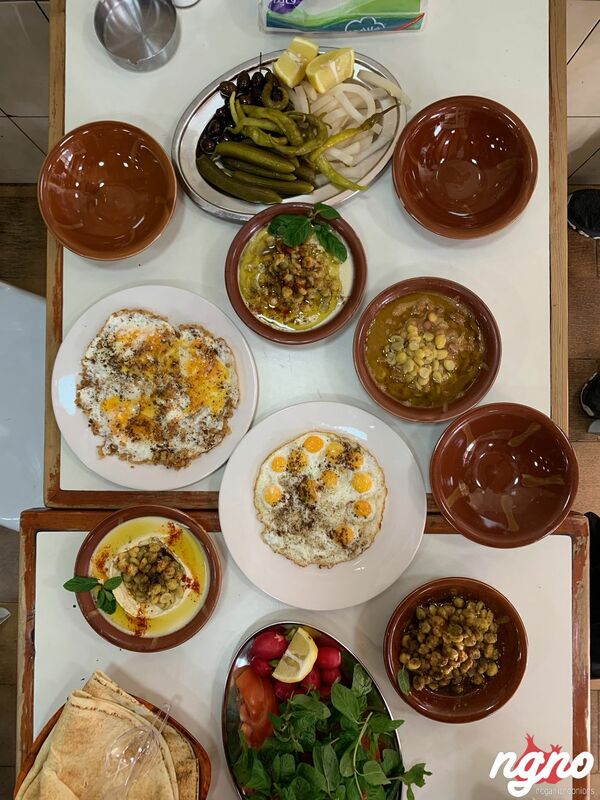 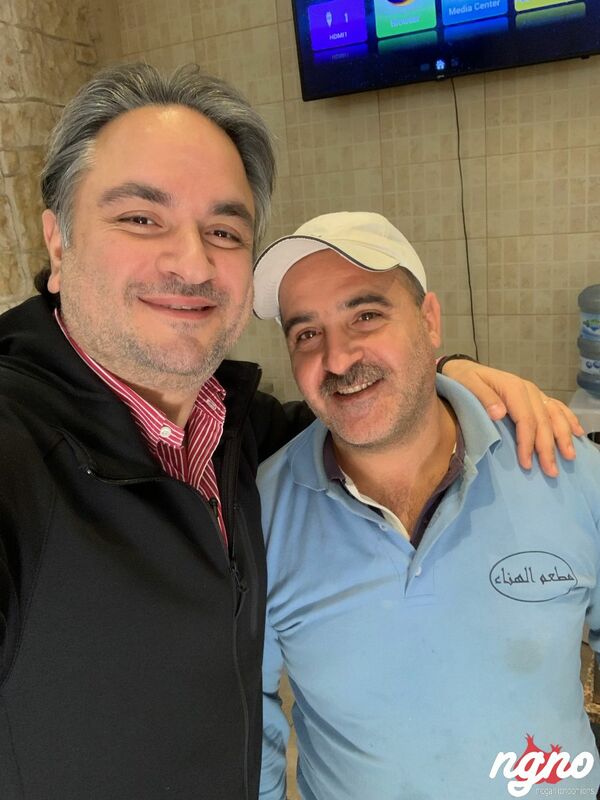 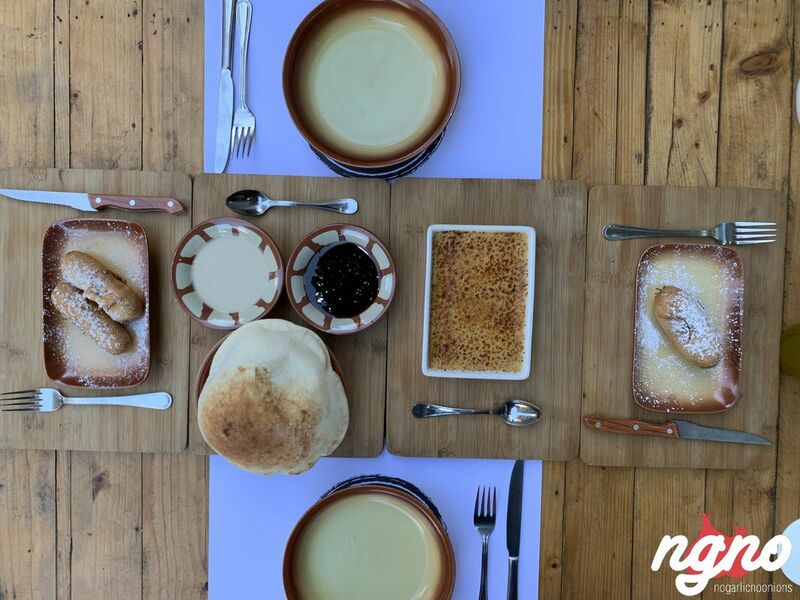 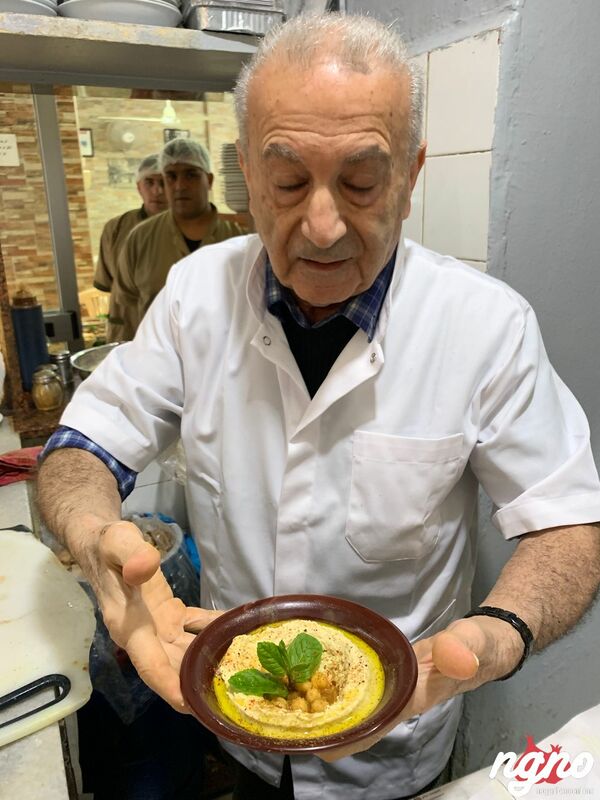 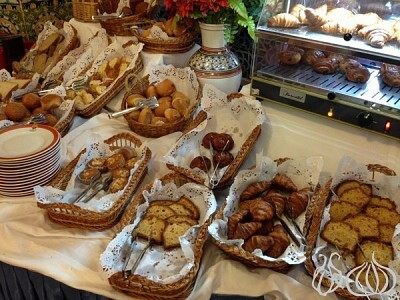 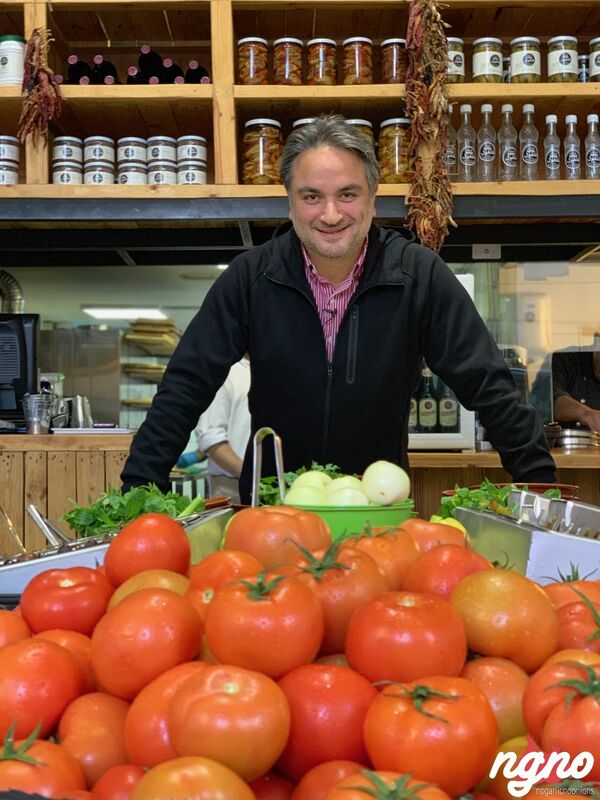 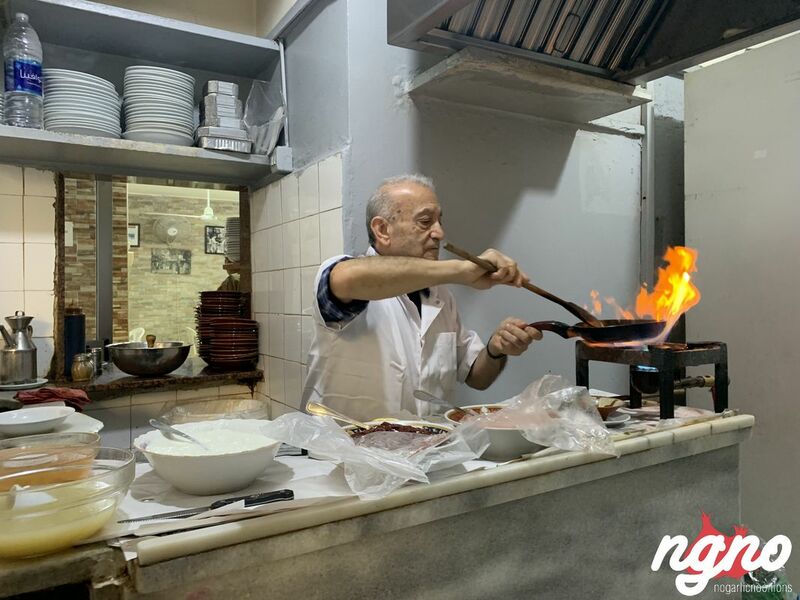 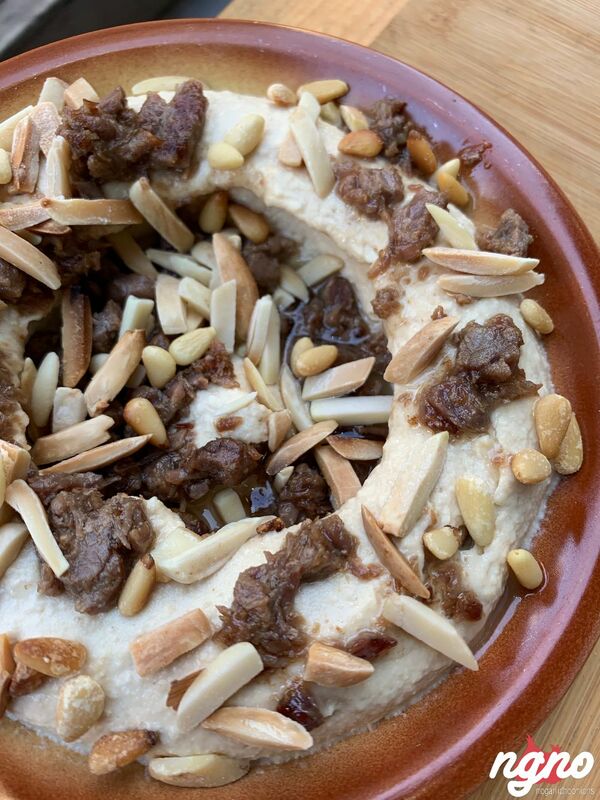 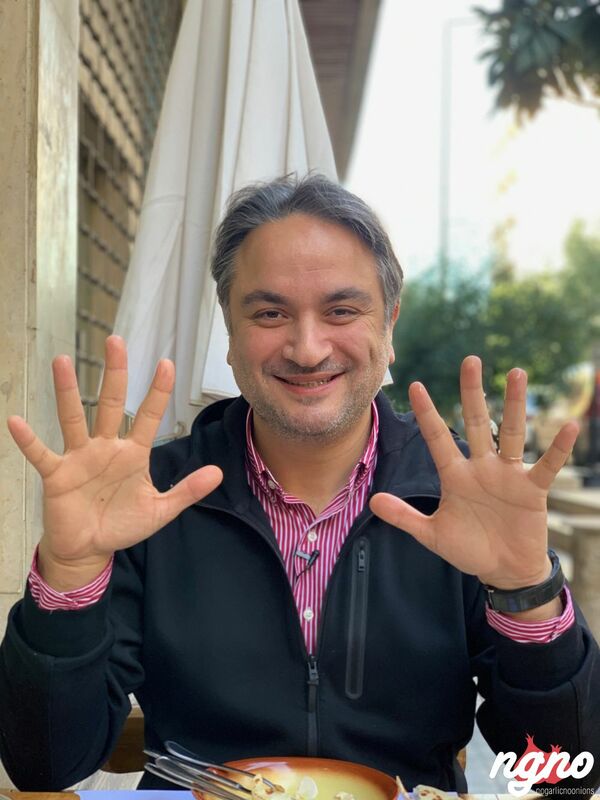 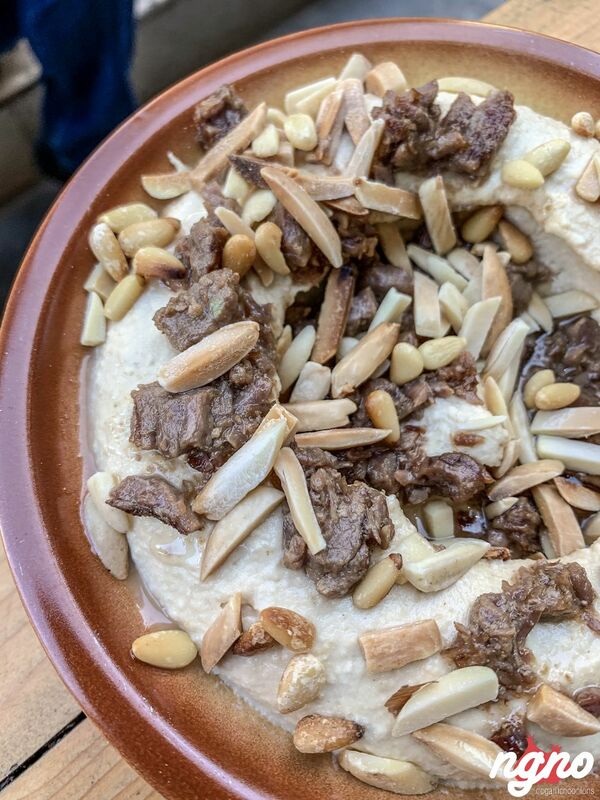 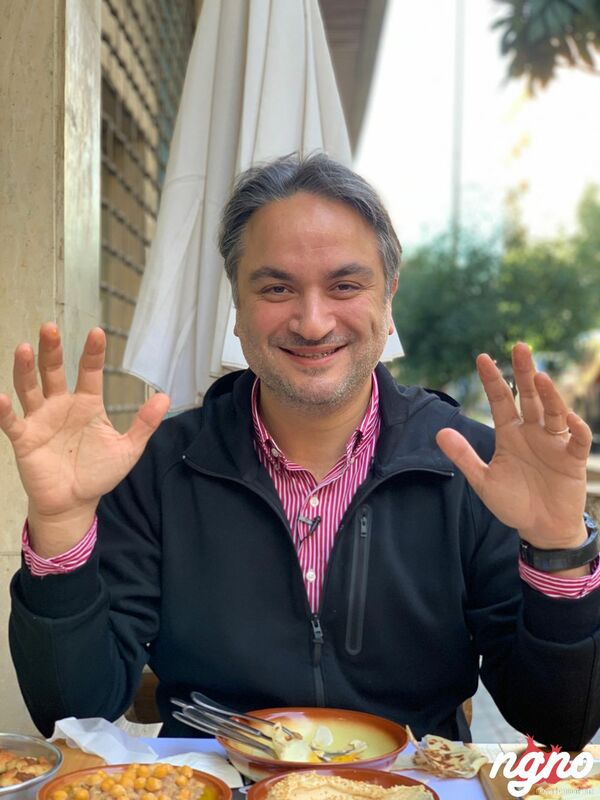 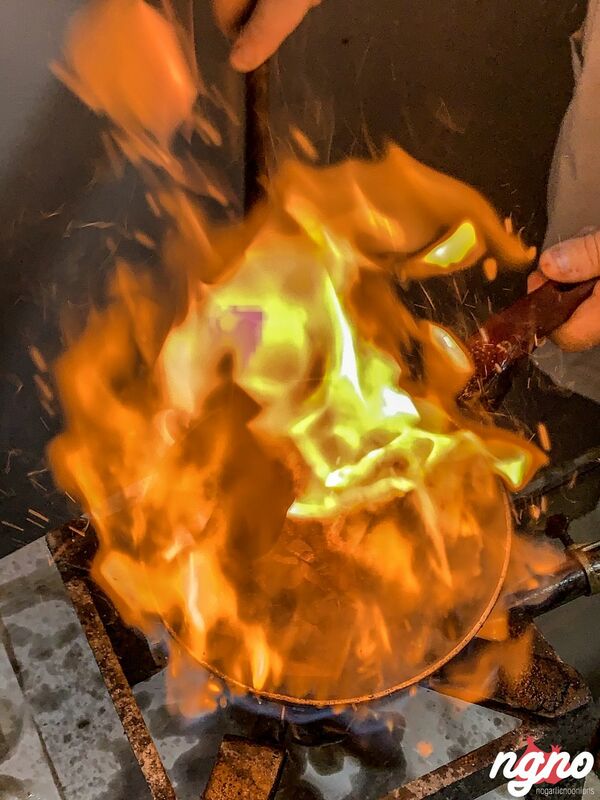 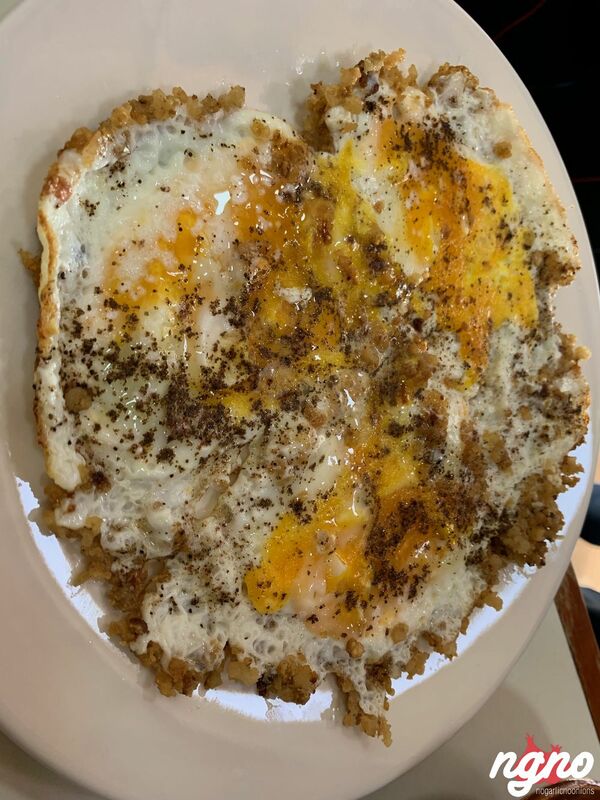 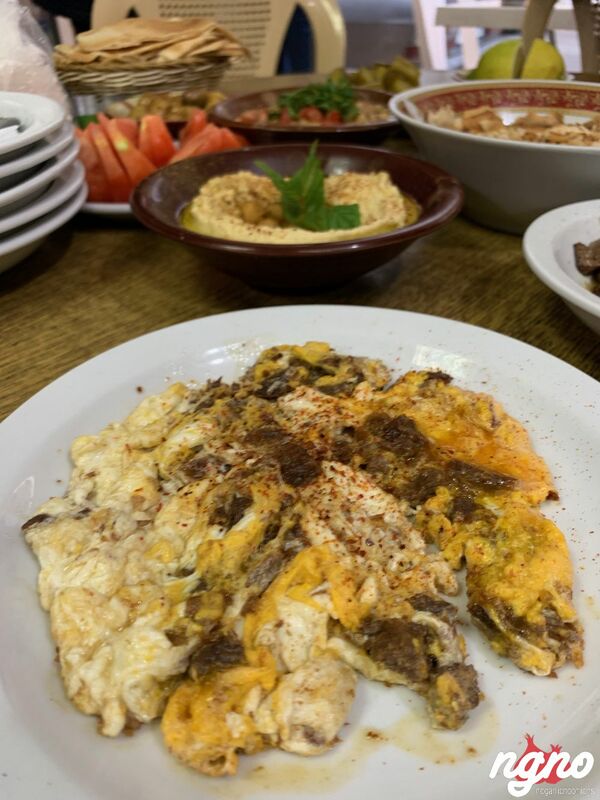 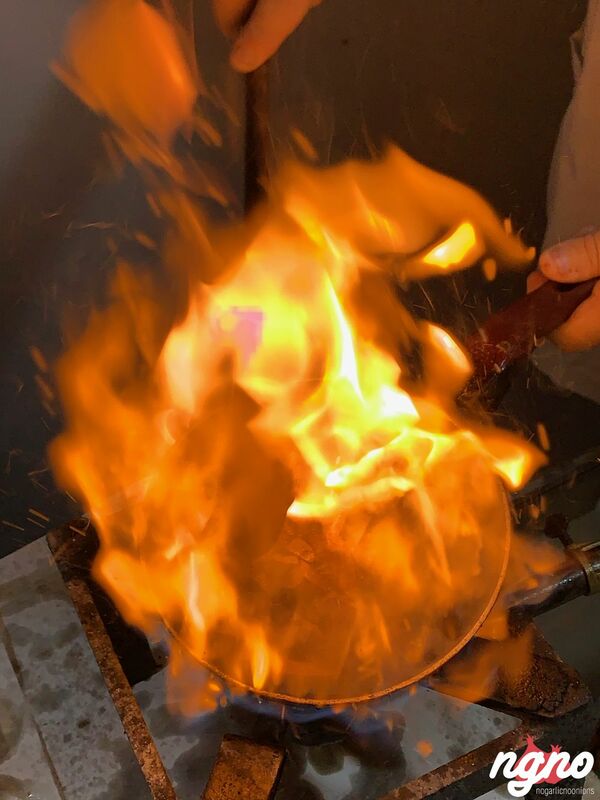 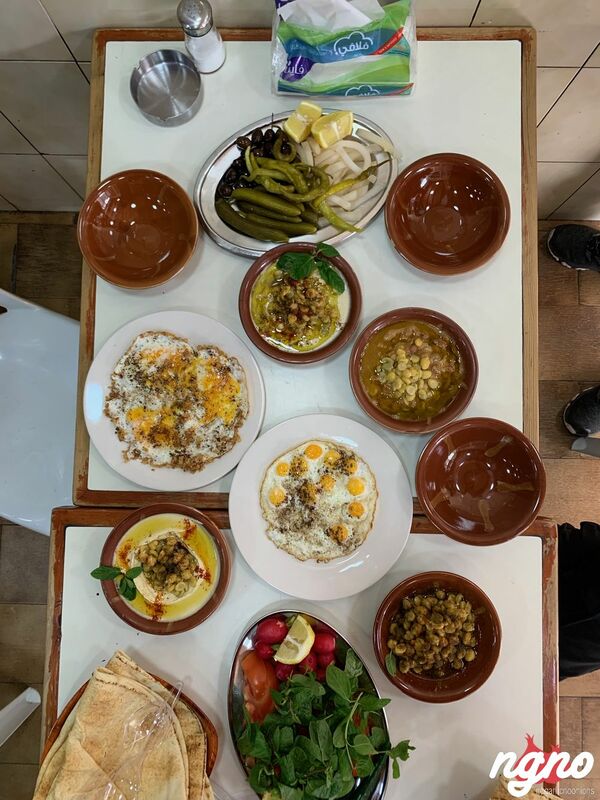 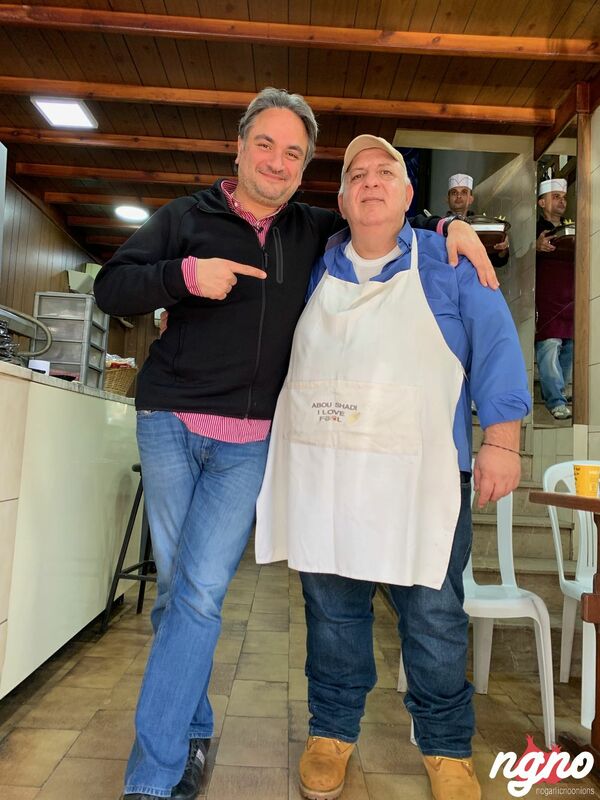 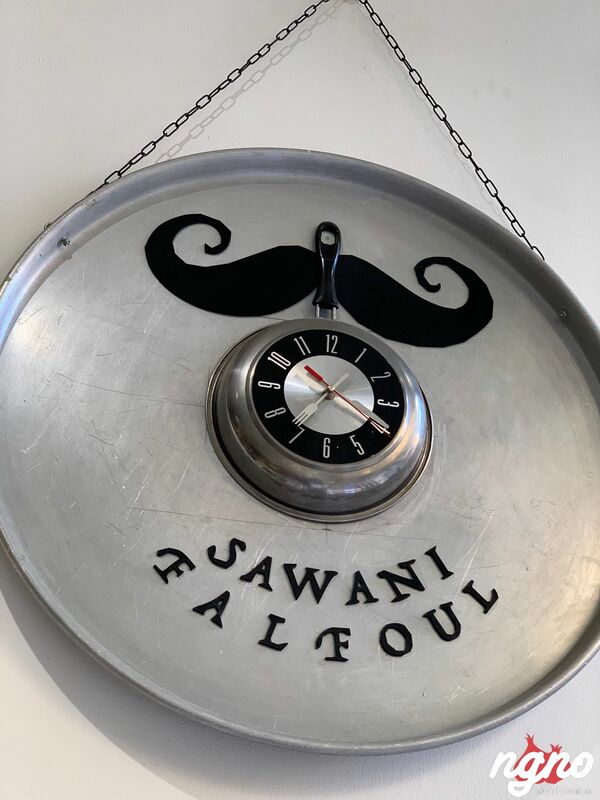 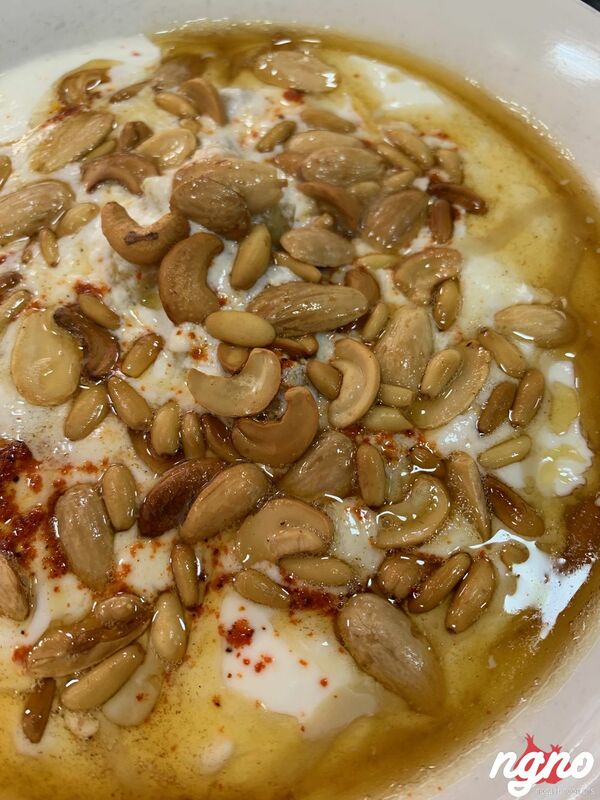 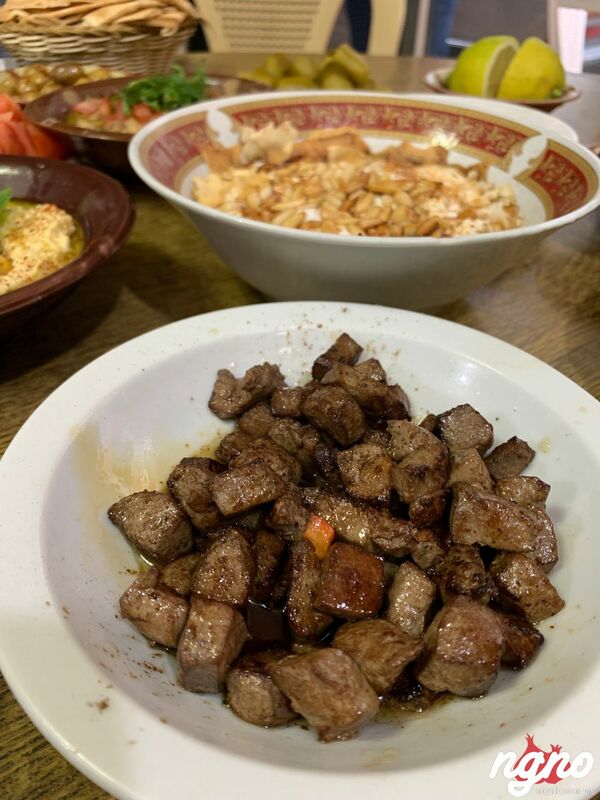 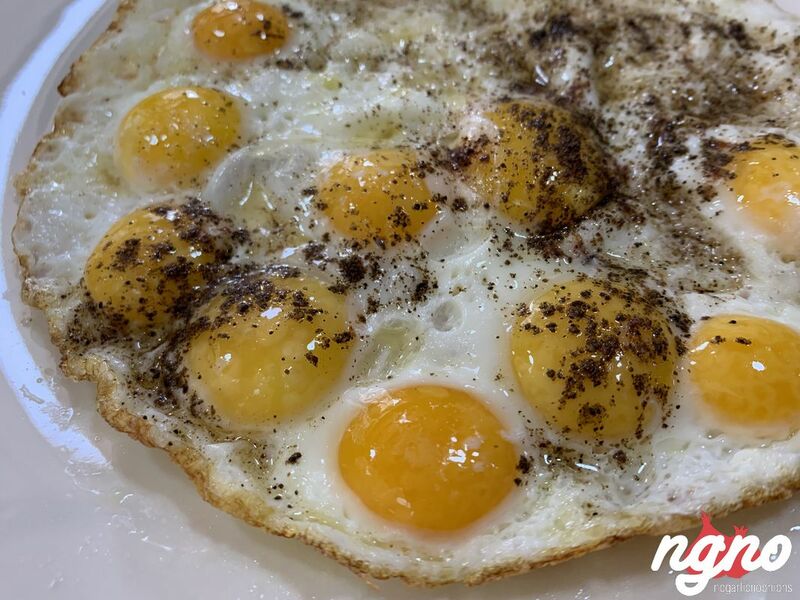 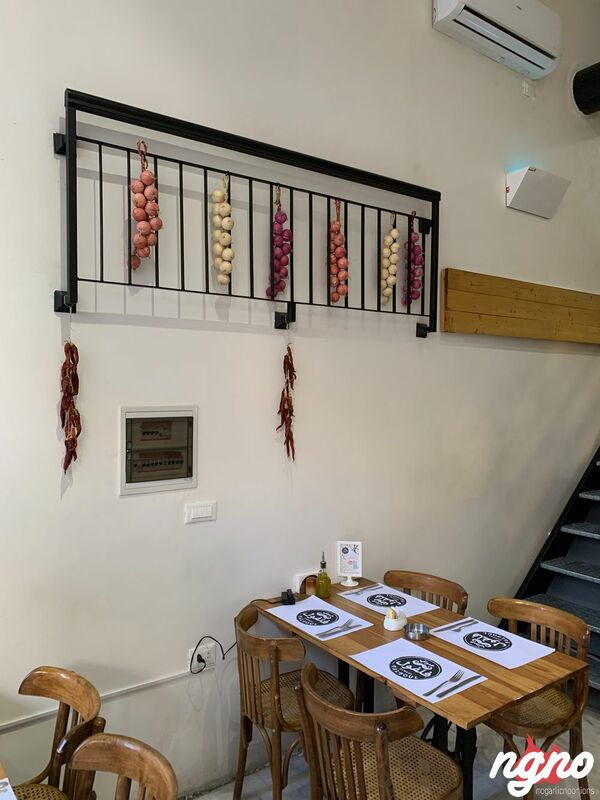 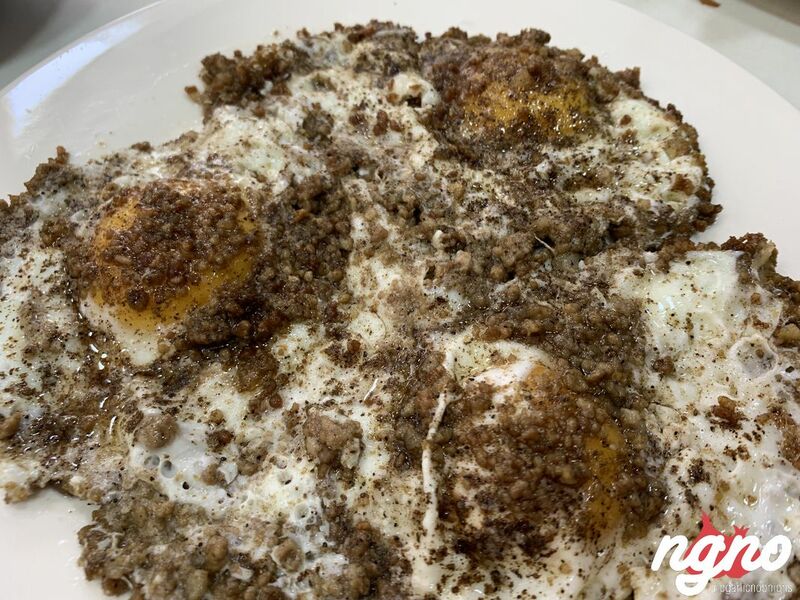 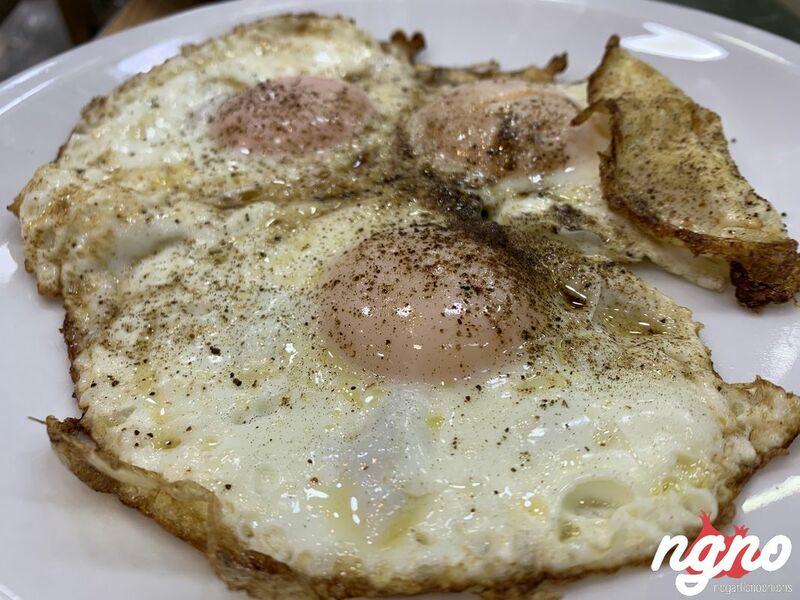 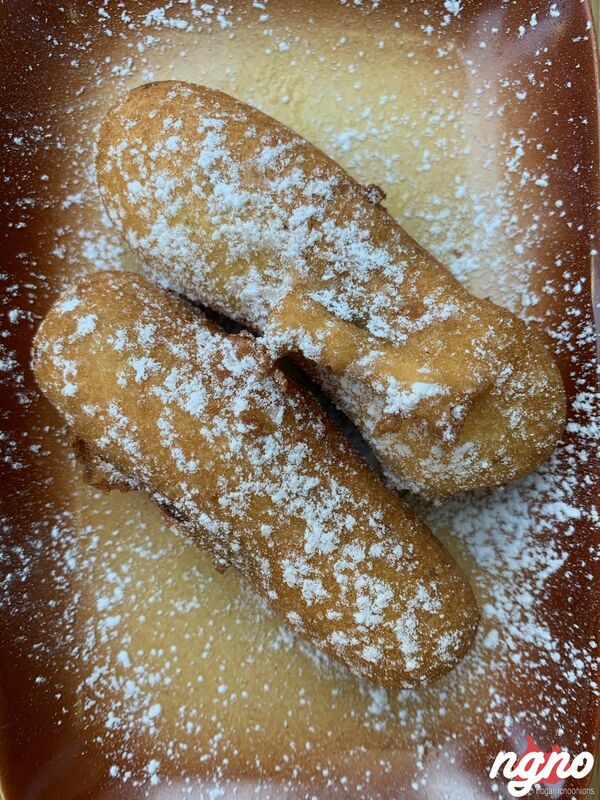 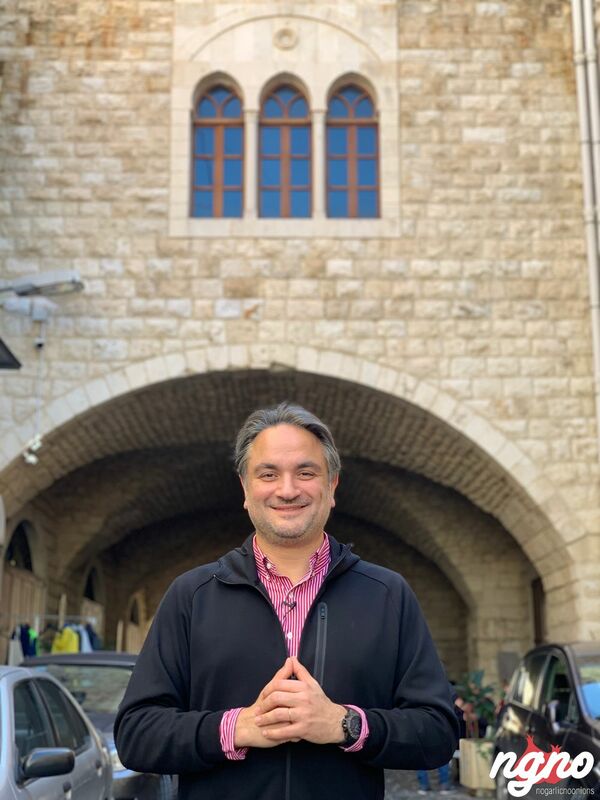 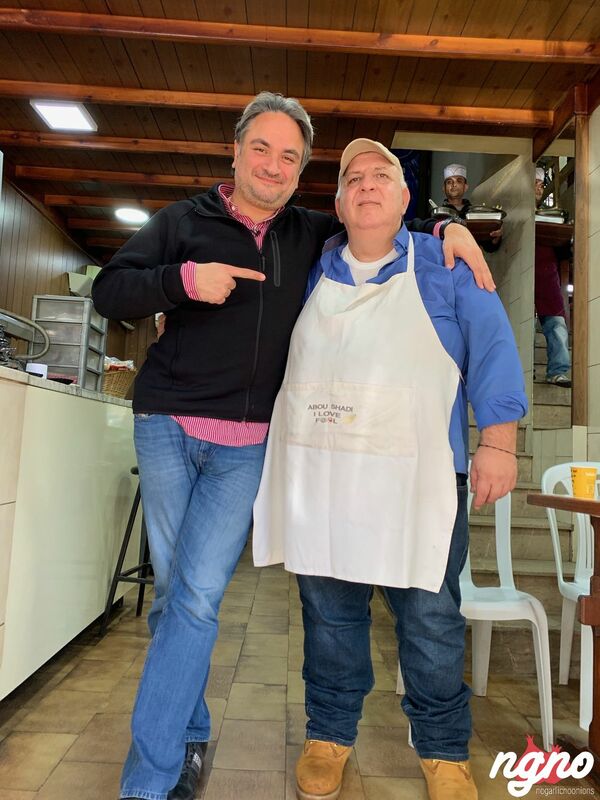 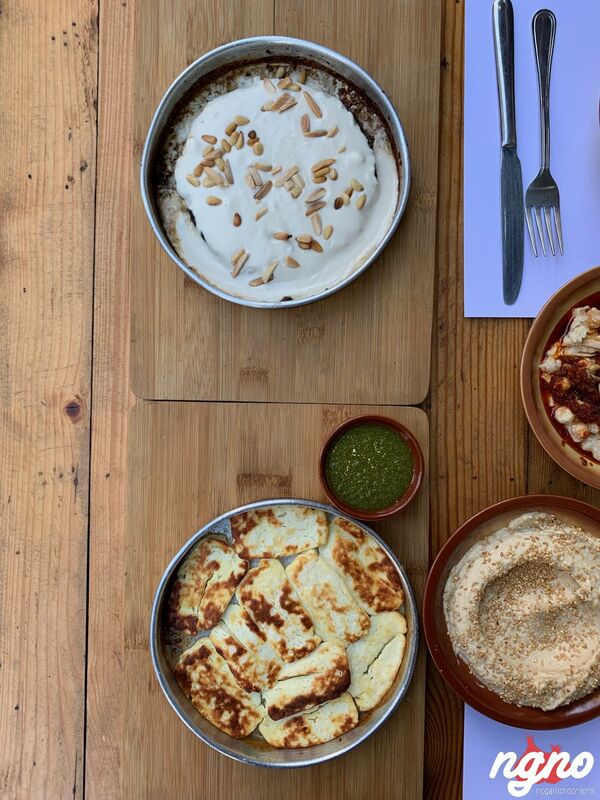 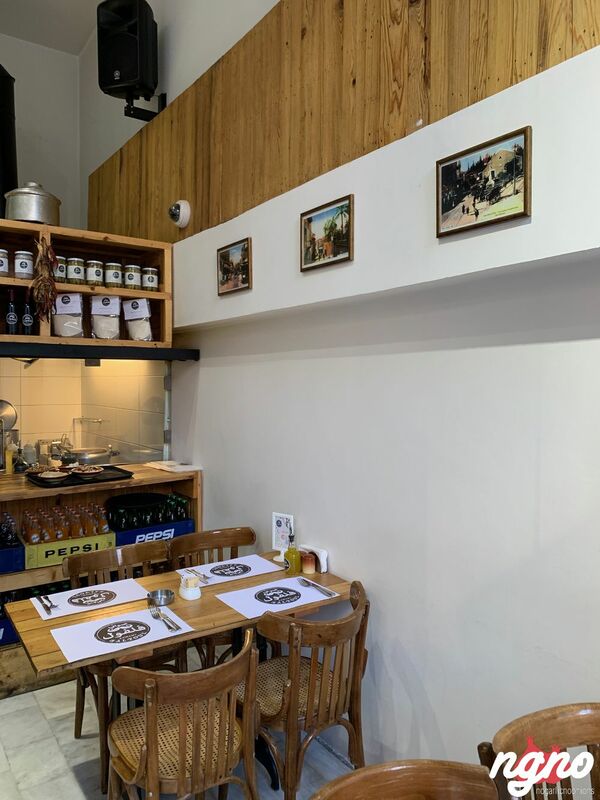 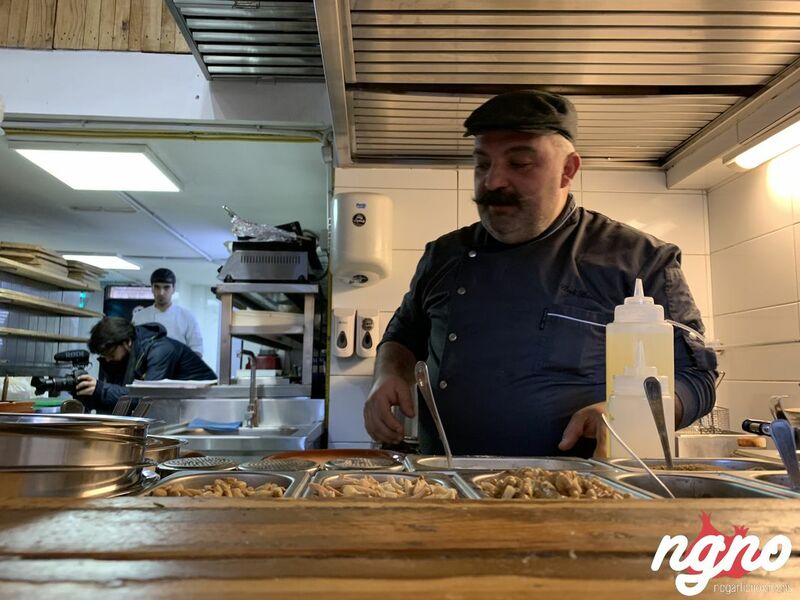 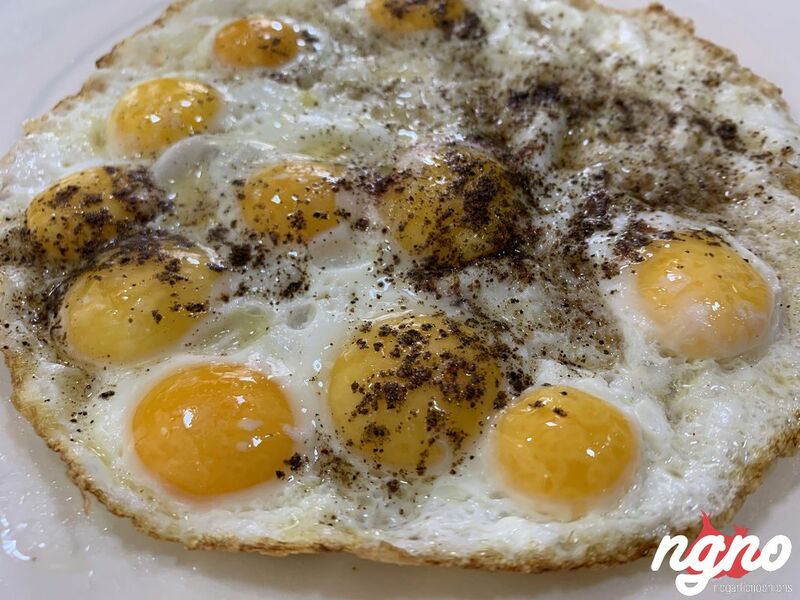 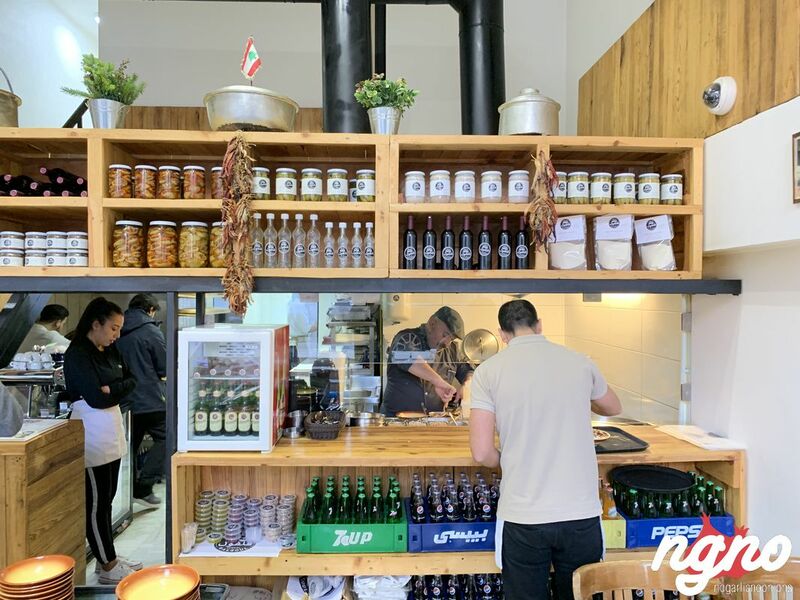 It’s best known at Beirut breakfast institutions Al-Soussi and Le Professeur, where awarma is put to work in a way that will have everyone fighting over the last bite. 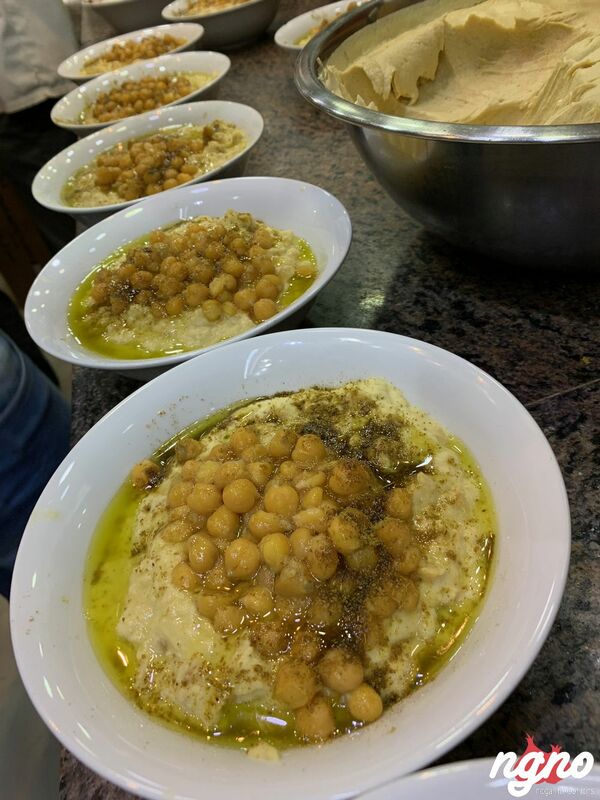 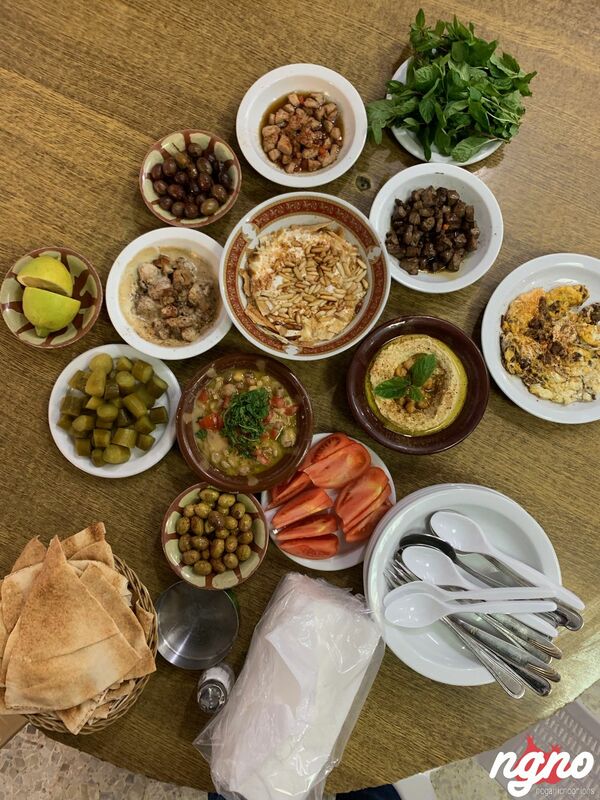 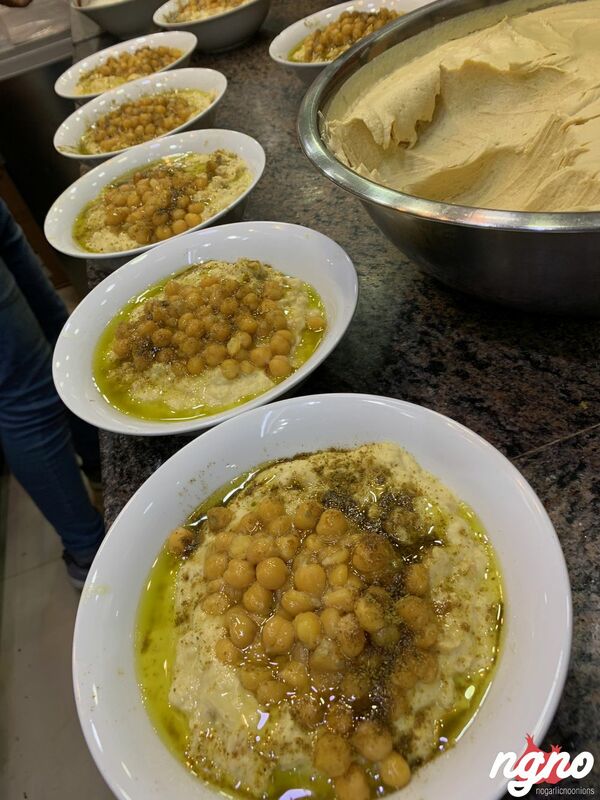 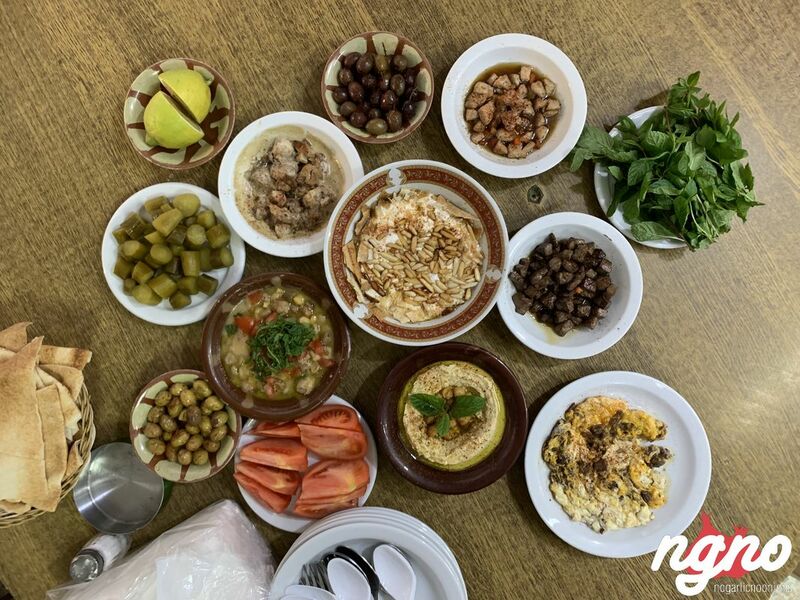 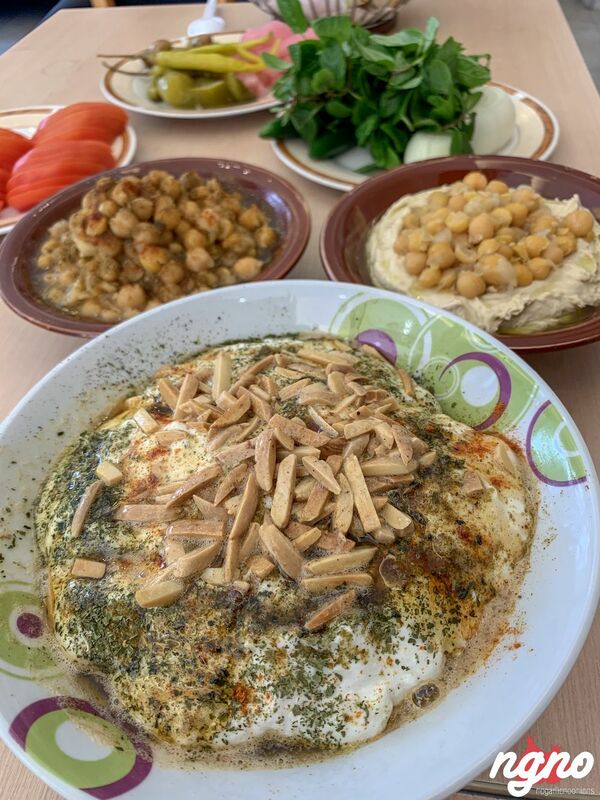 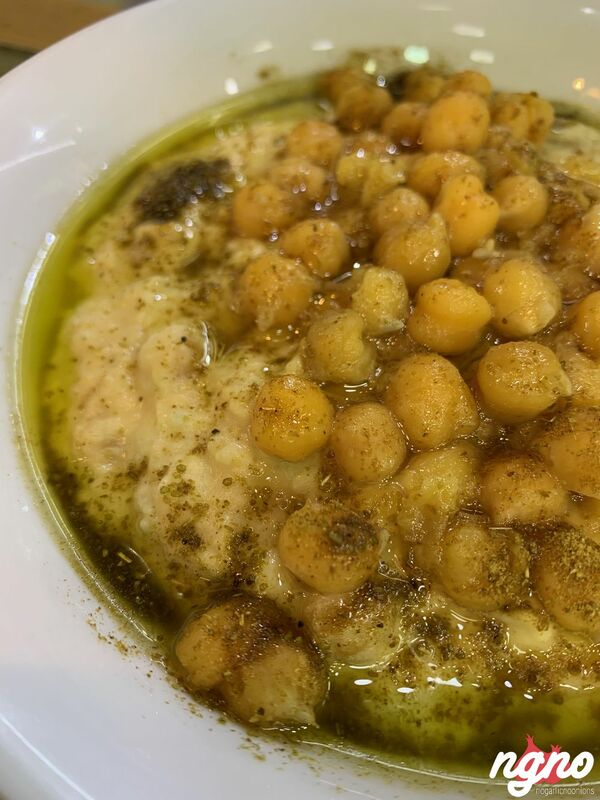 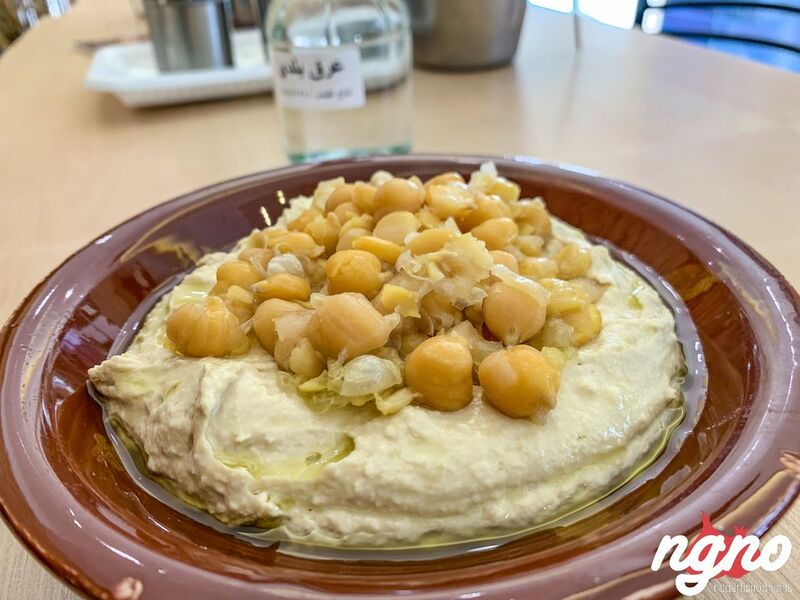 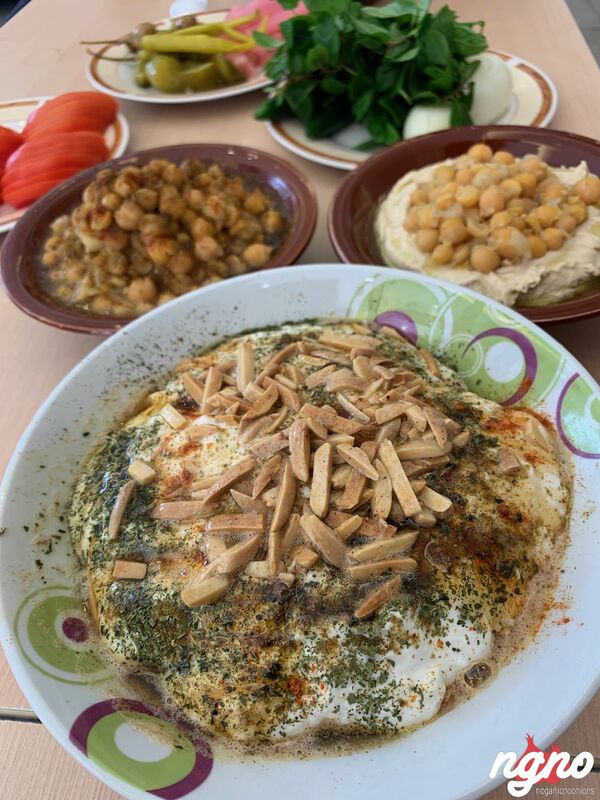 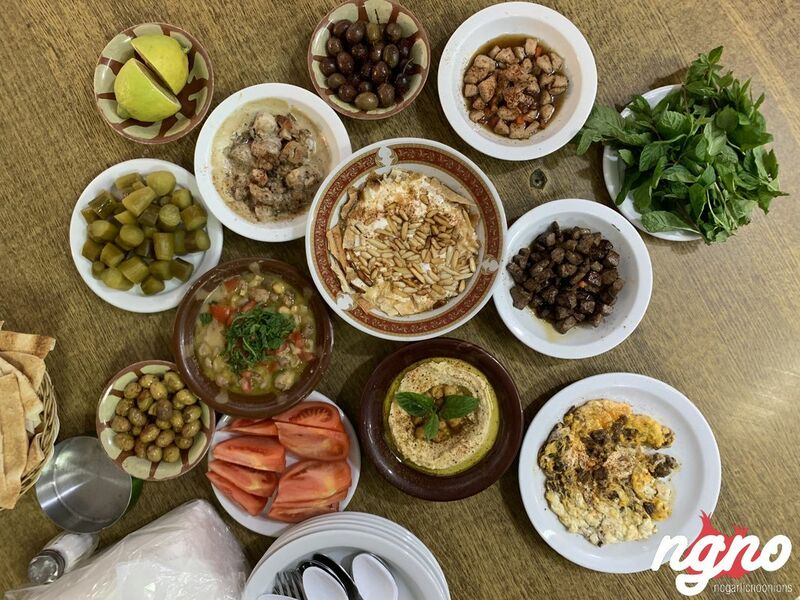 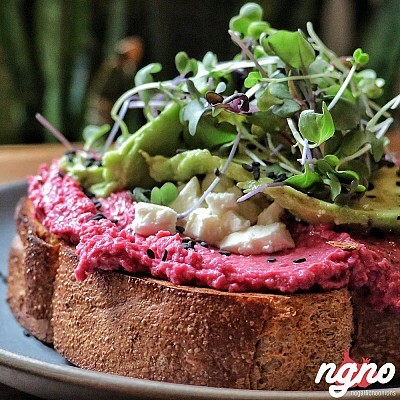 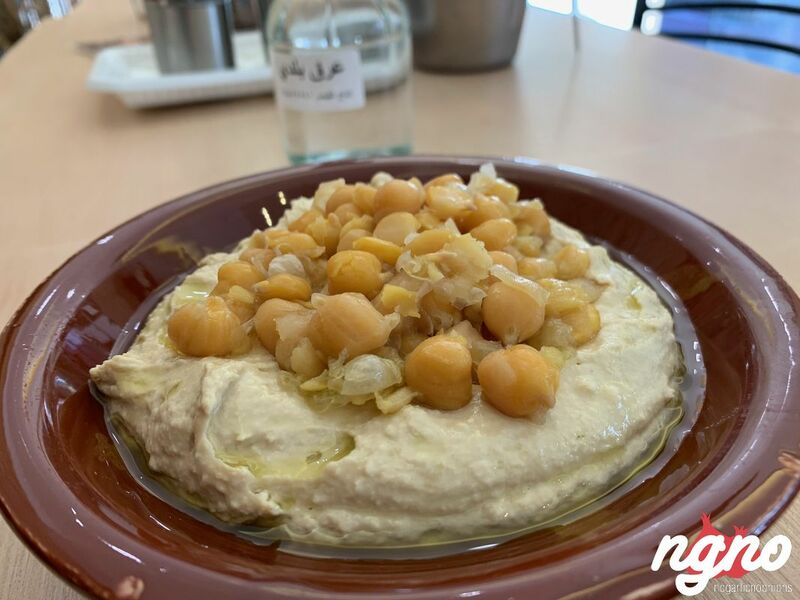 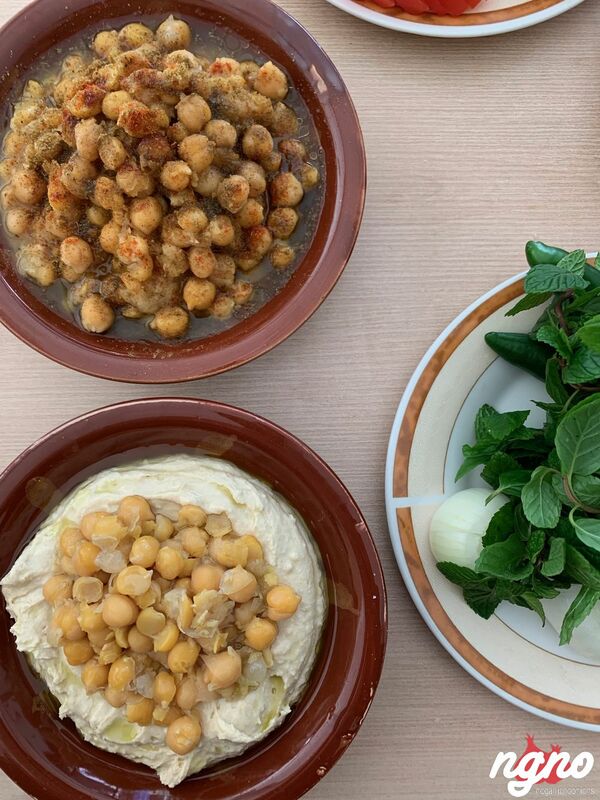 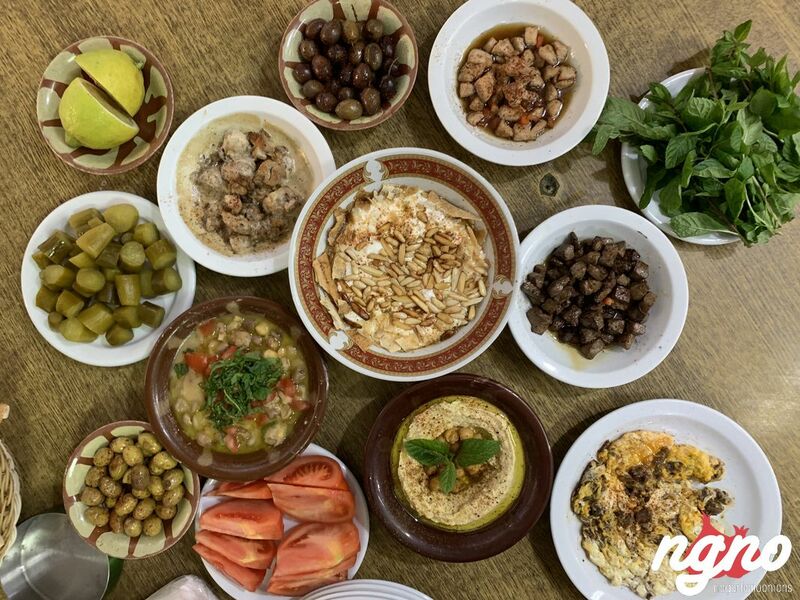 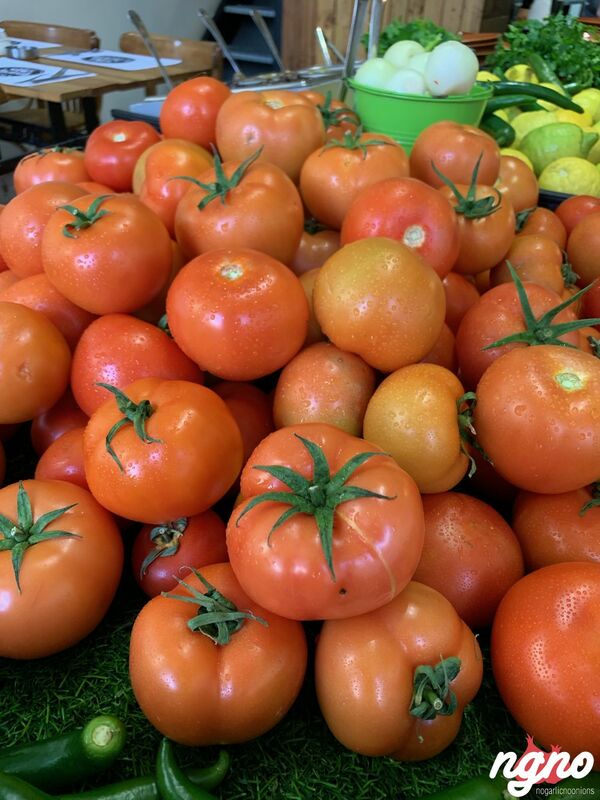 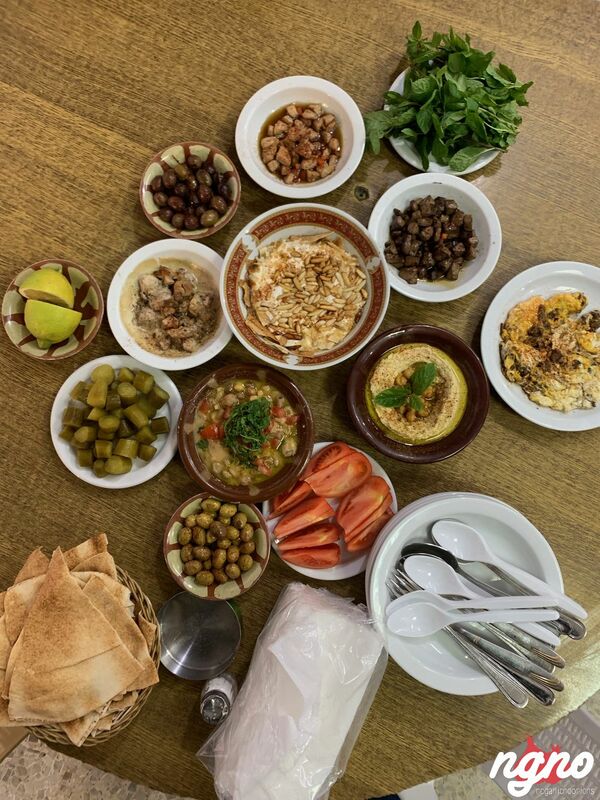 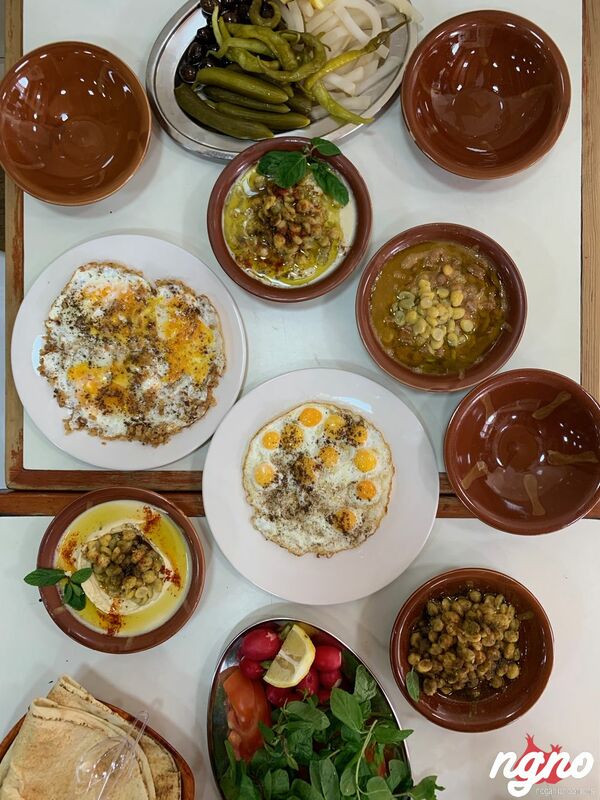 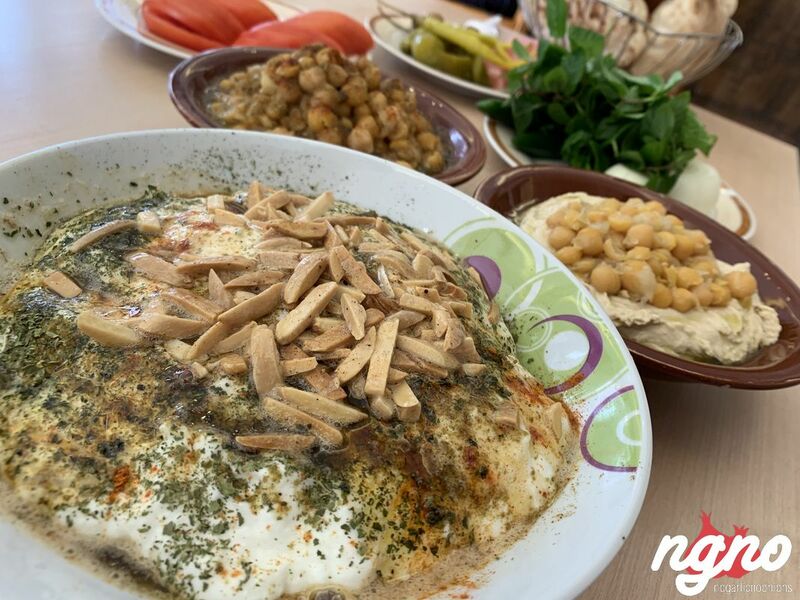 One of the most popular breakfast dishes across the Middle East is ful medames — stewed fava beans seasoned with olive oil and lemon juice and served with onions, cucumbers, tomatoes, and herbs on the side. 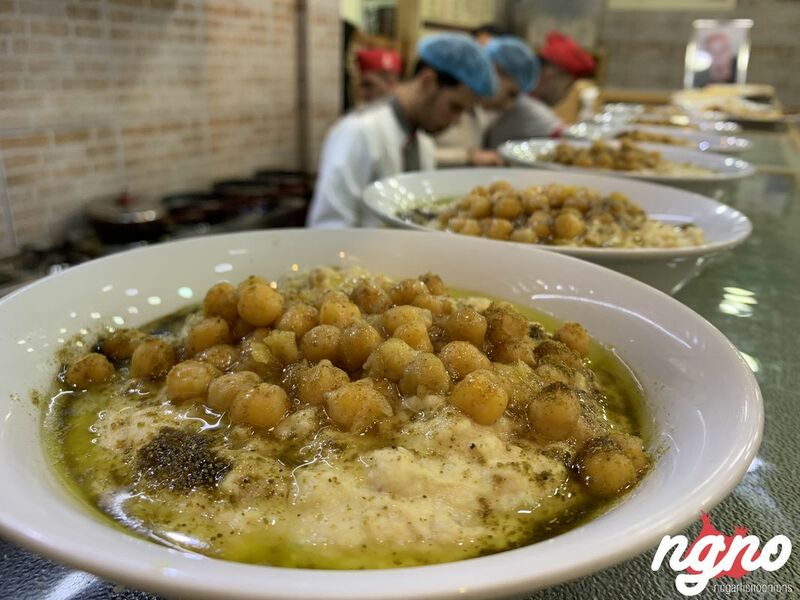 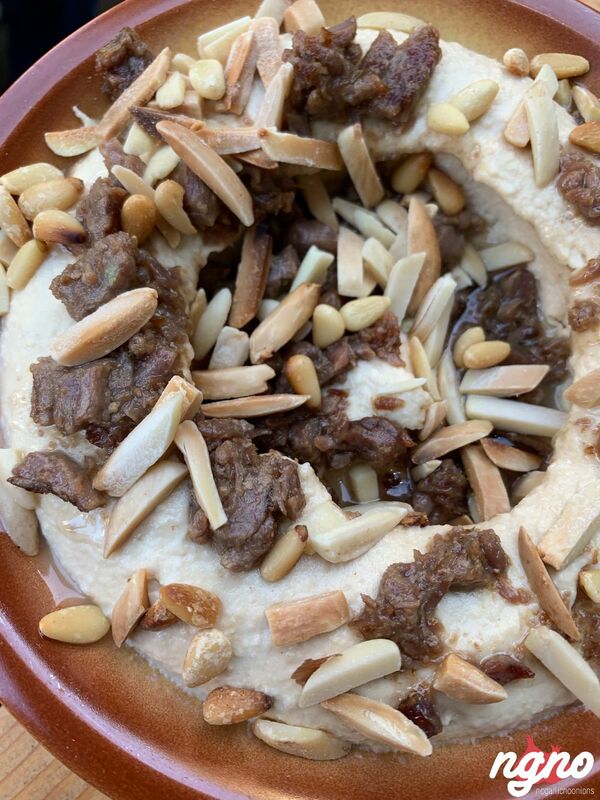 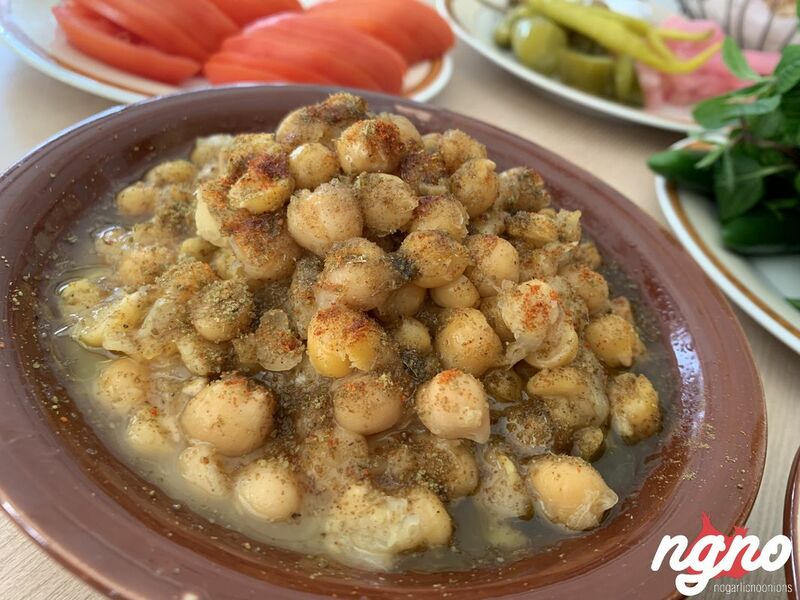 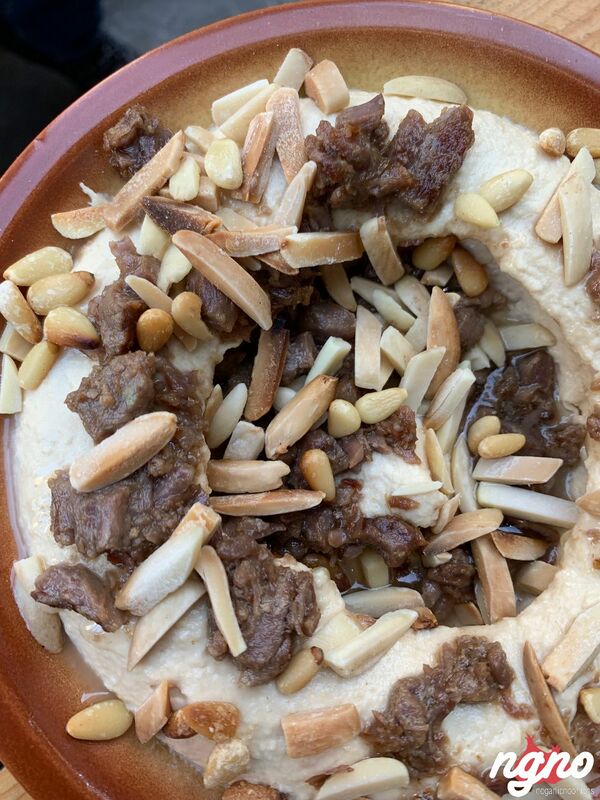 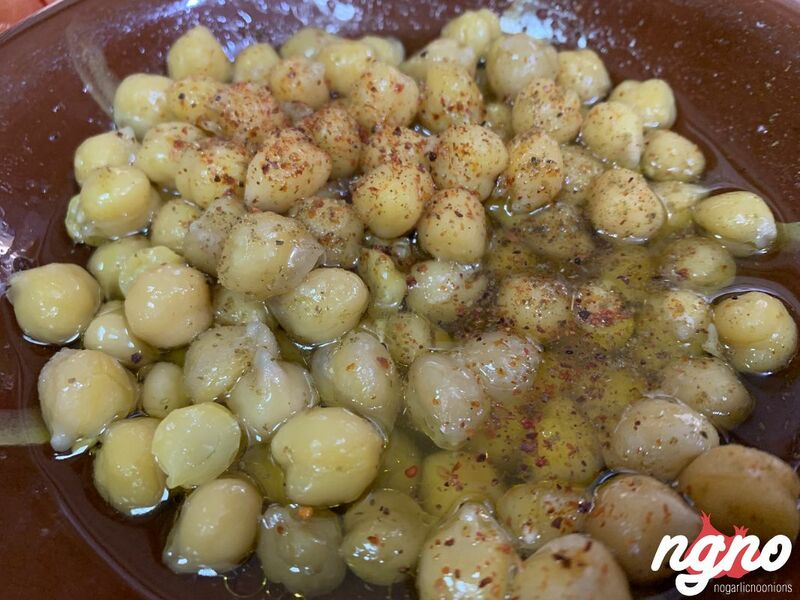 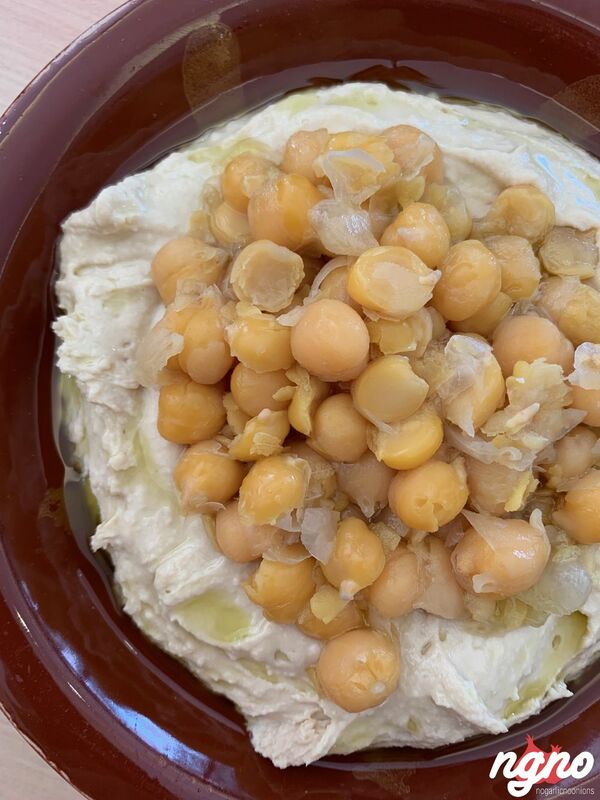 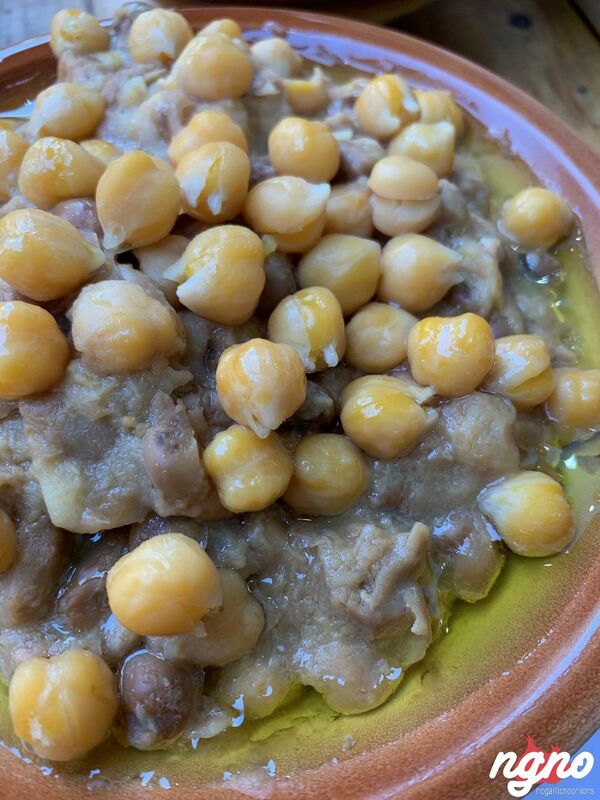 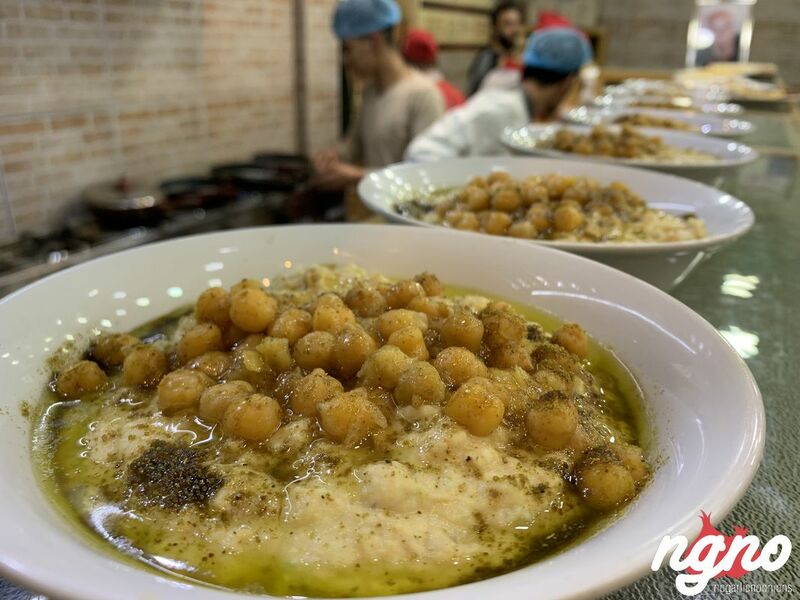 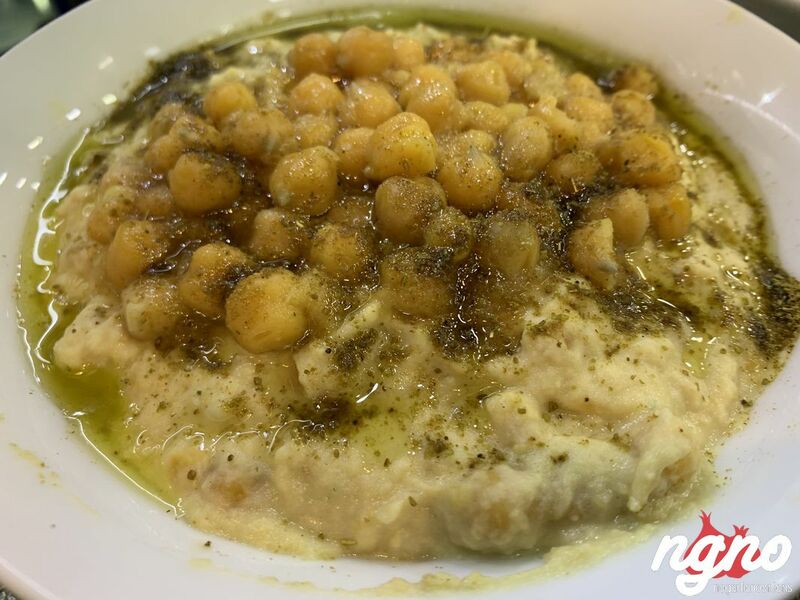 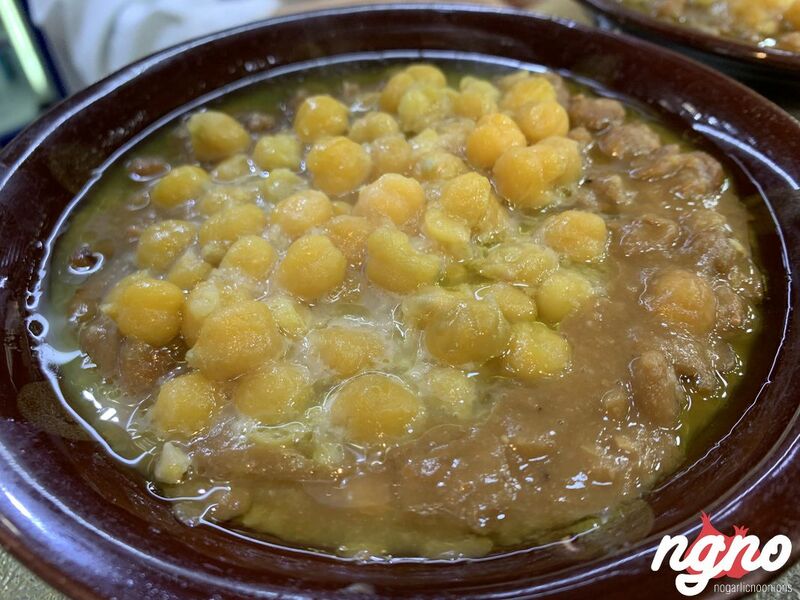 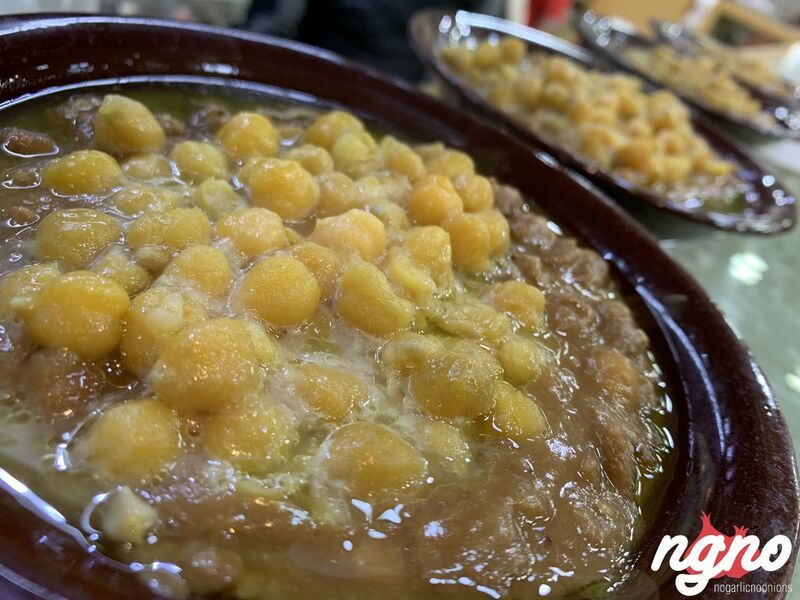 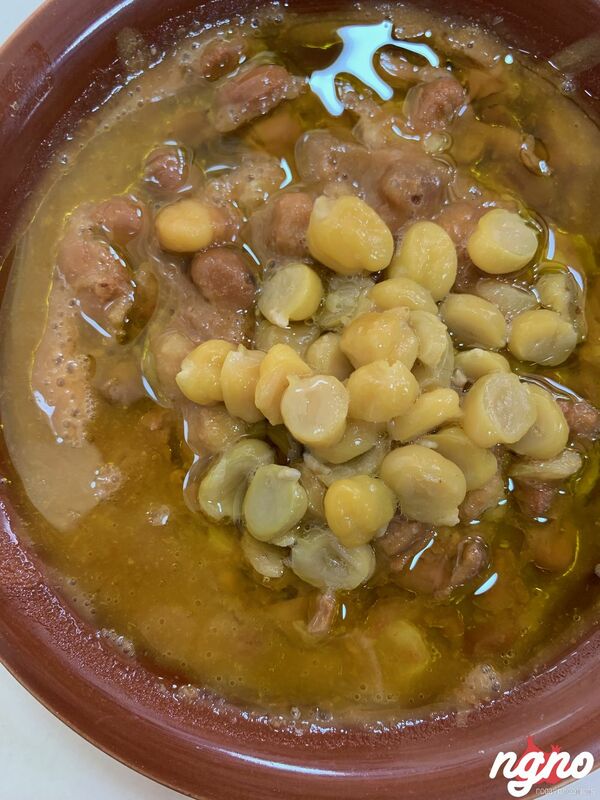 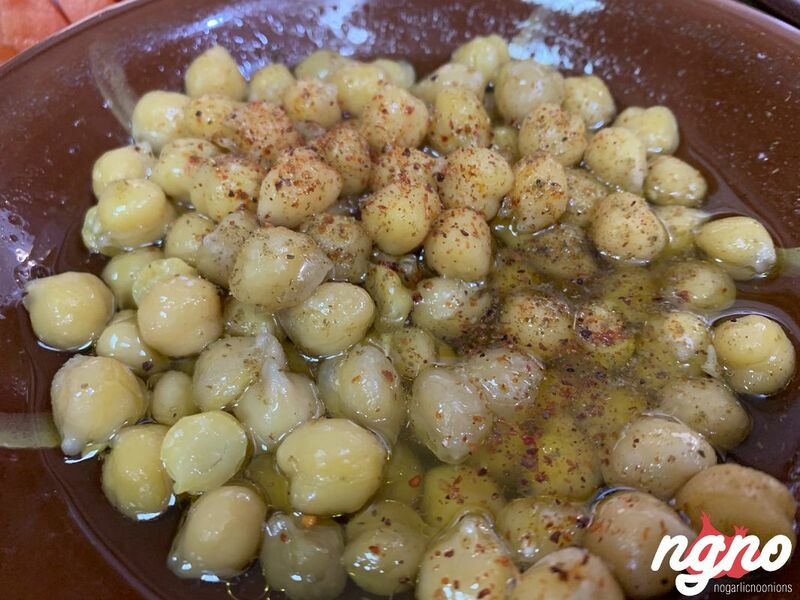 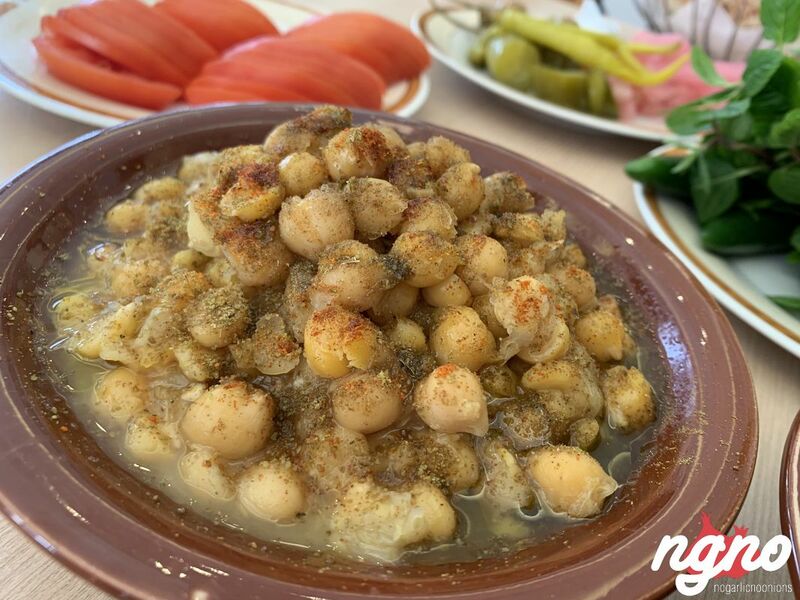 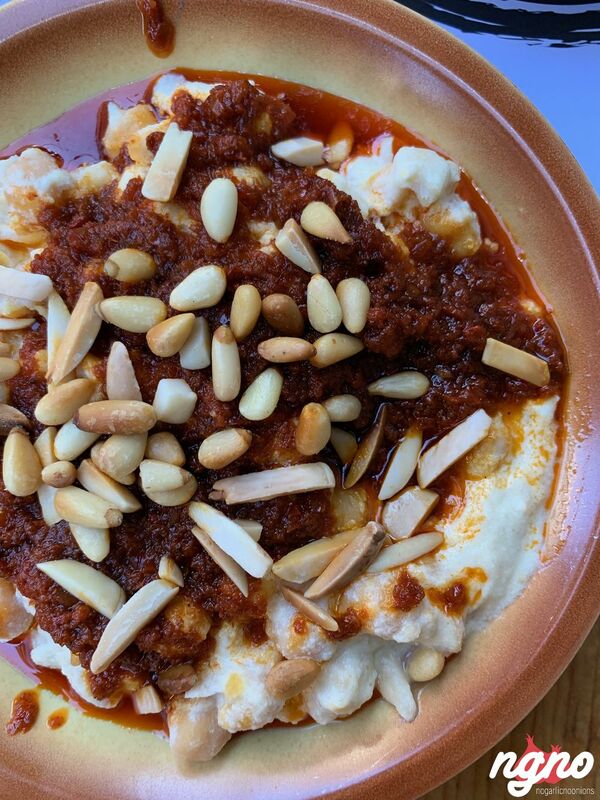 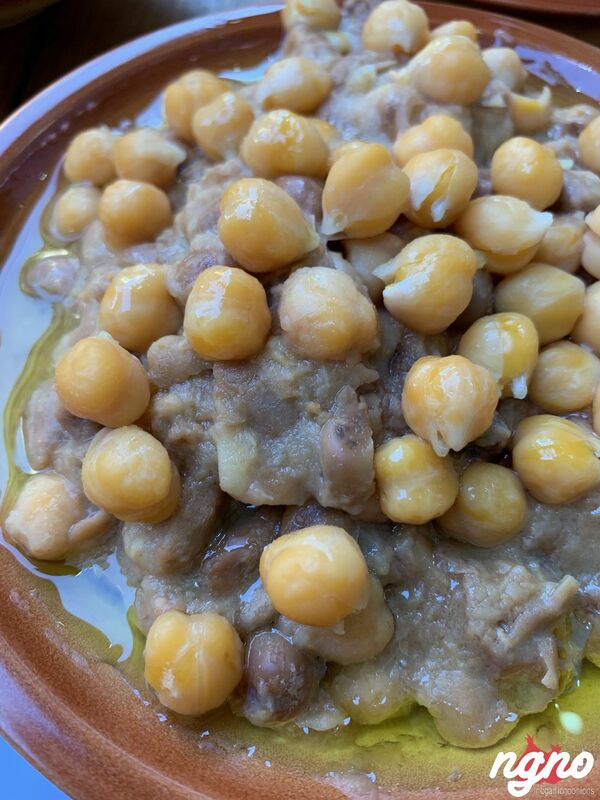 In Lebanon the fava bean mixture gets spiked with balila, stewed whole chickpeas with garlic, cumin, and pine nuts. 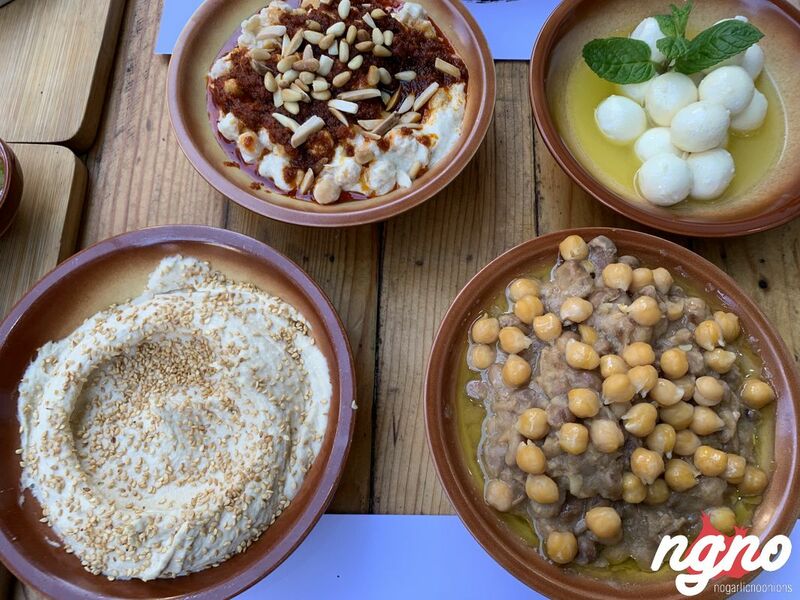 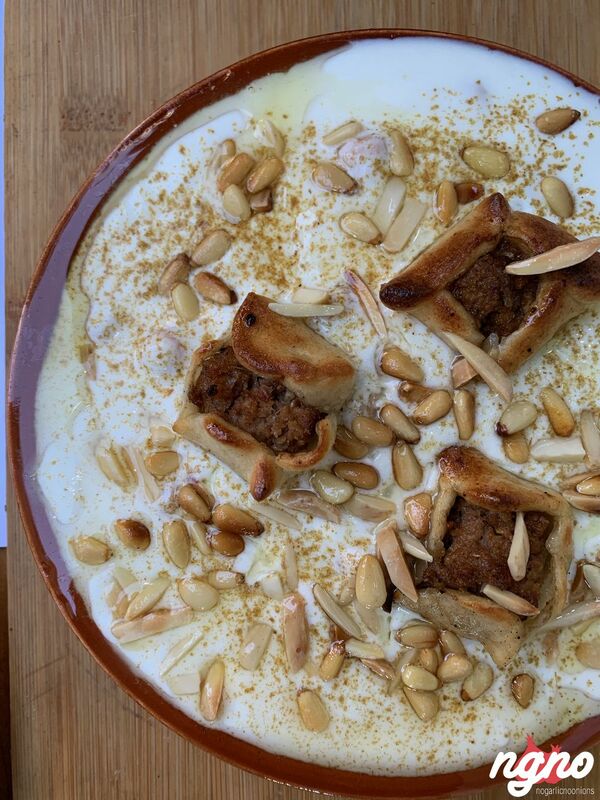 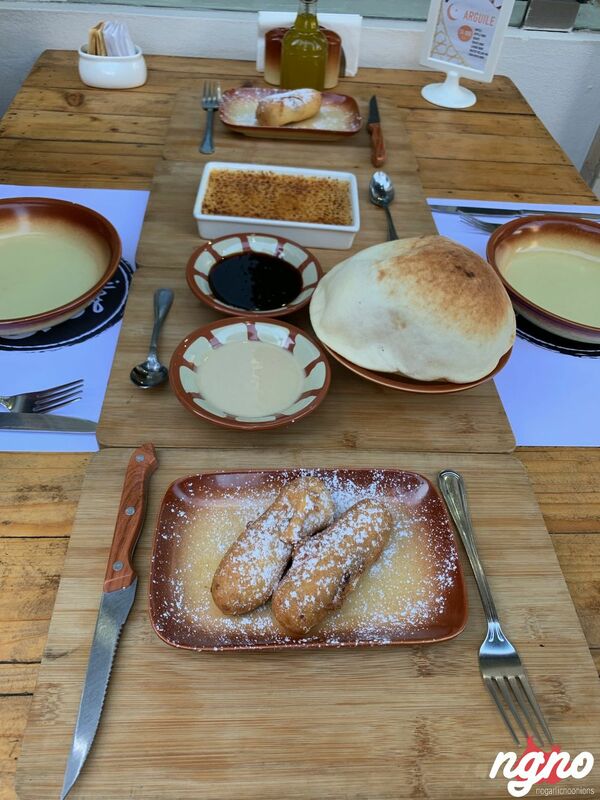 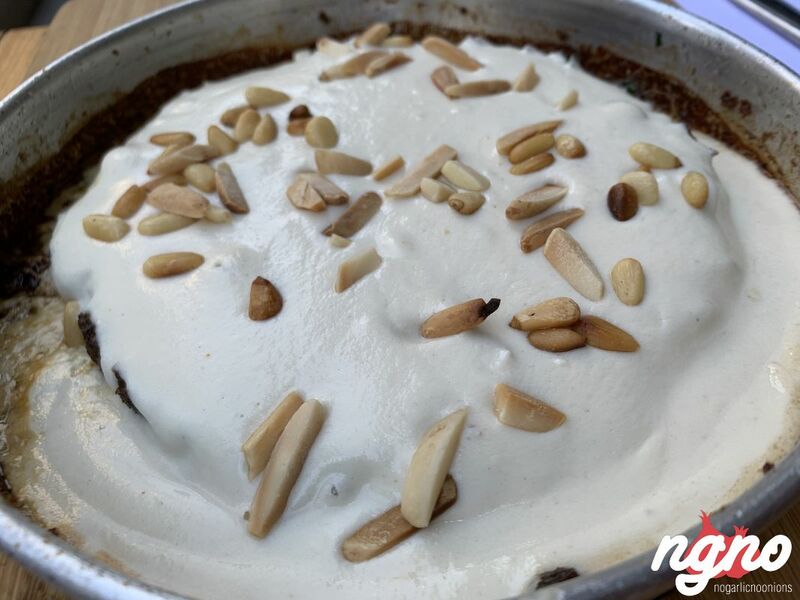 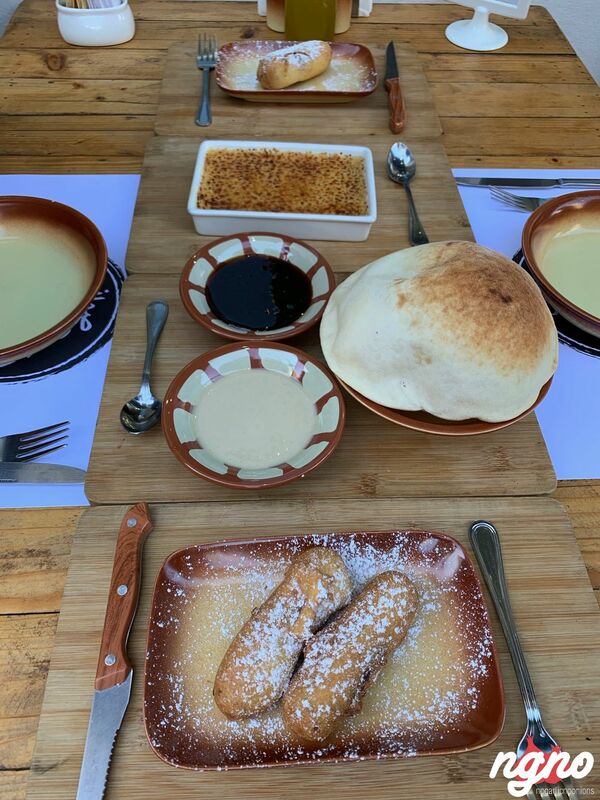 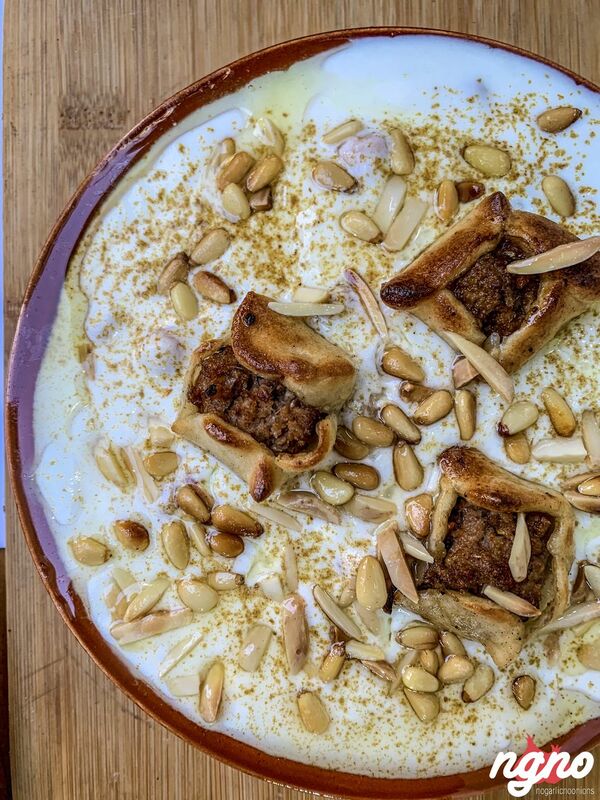 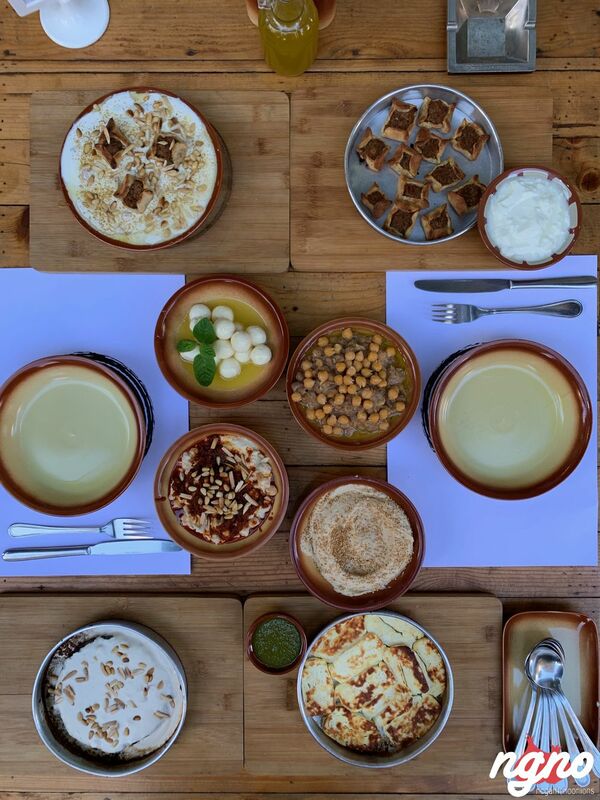 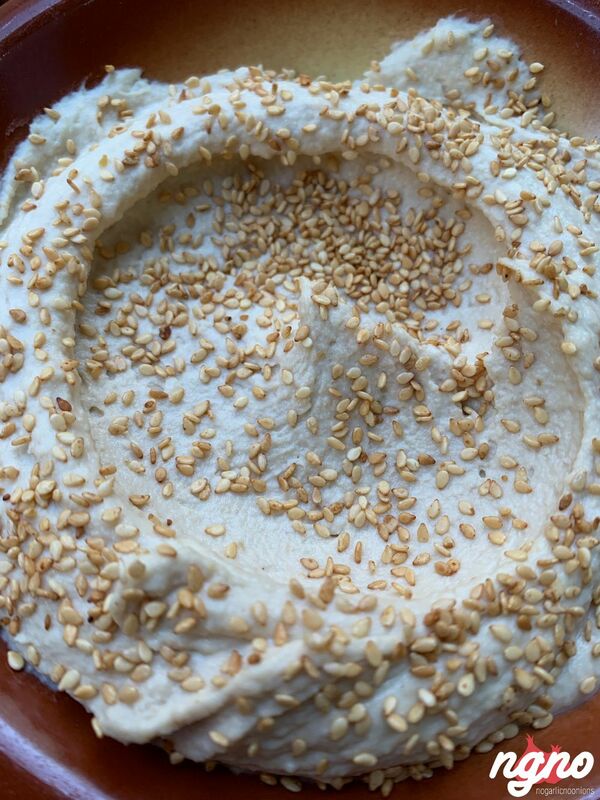 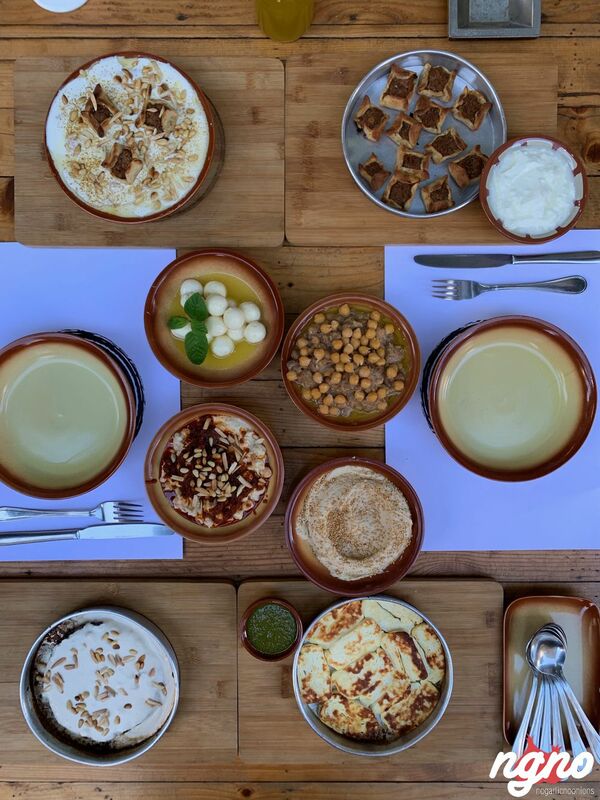 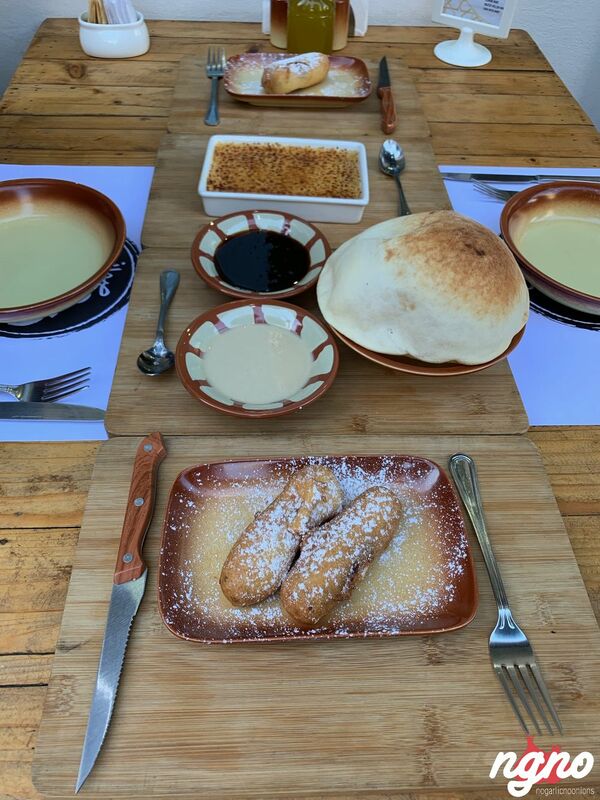 A simpler Lebanese take on ful is msabhah, a hearty blend of balila and tahini served with the same fresh accompaniments. 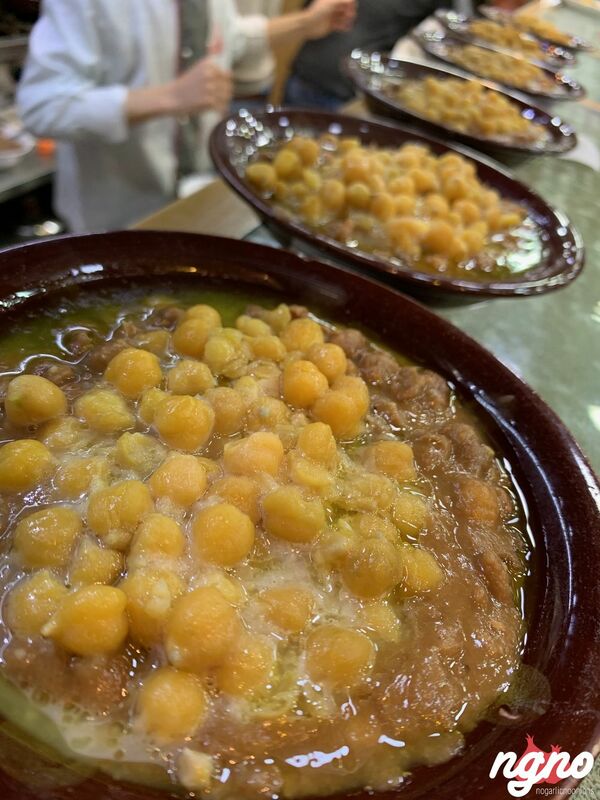 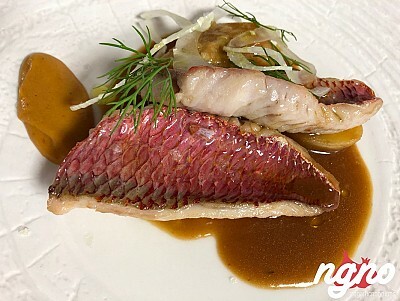 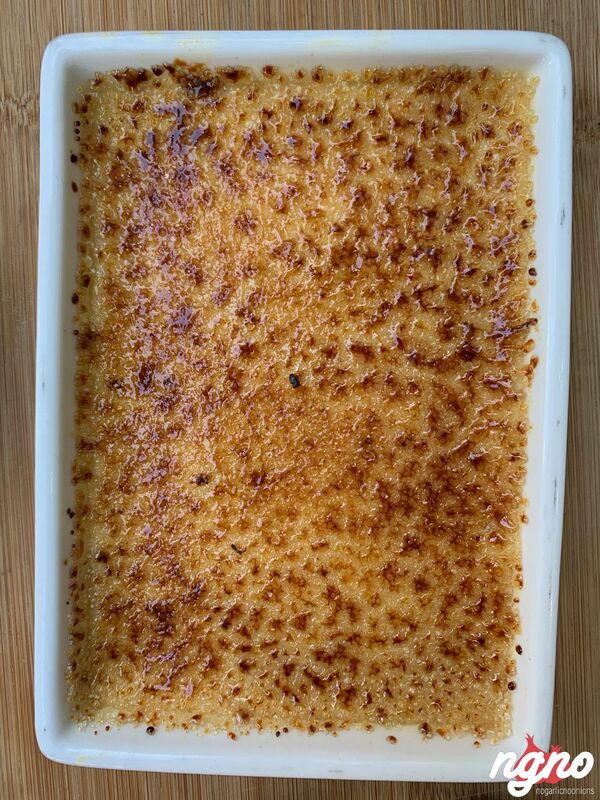 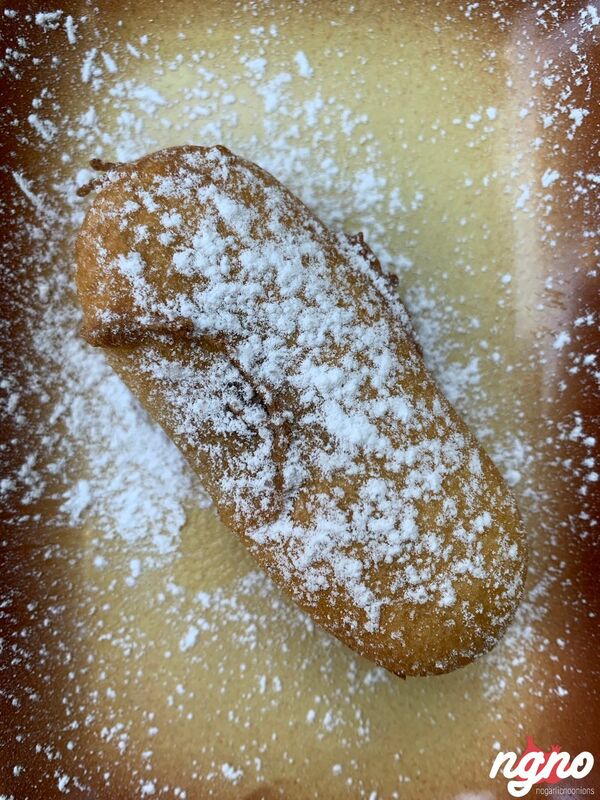 Even amid the modern-day bowl craze, this centuries-old dish is the hands-down stuff-in-bowls champion. 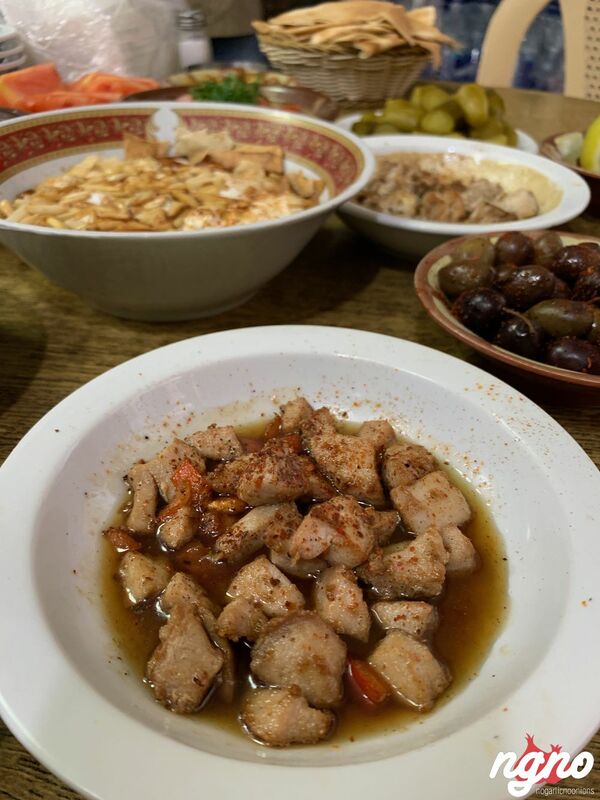 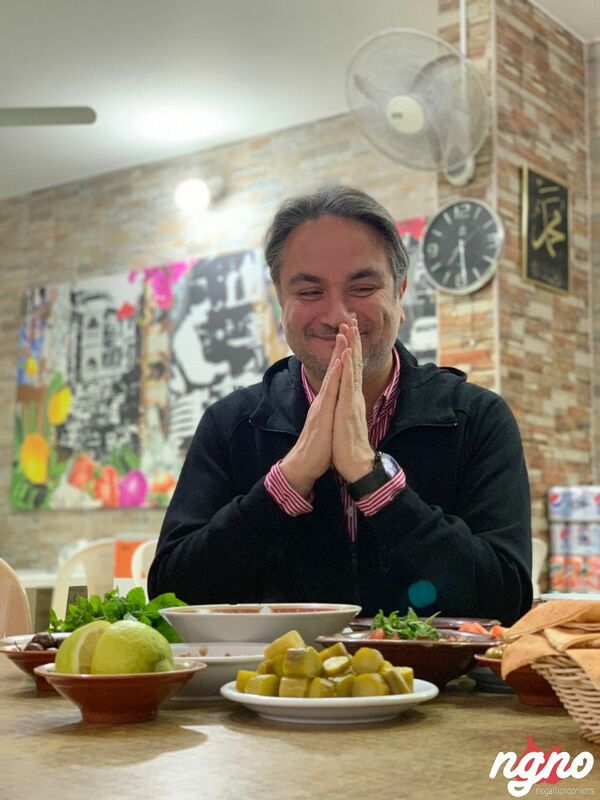 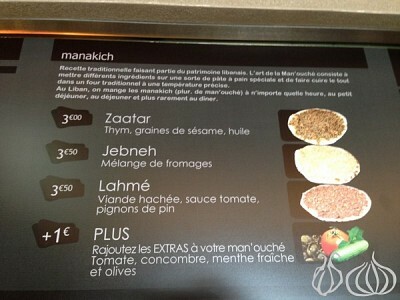 What’s in fatteh that warrants such claims? 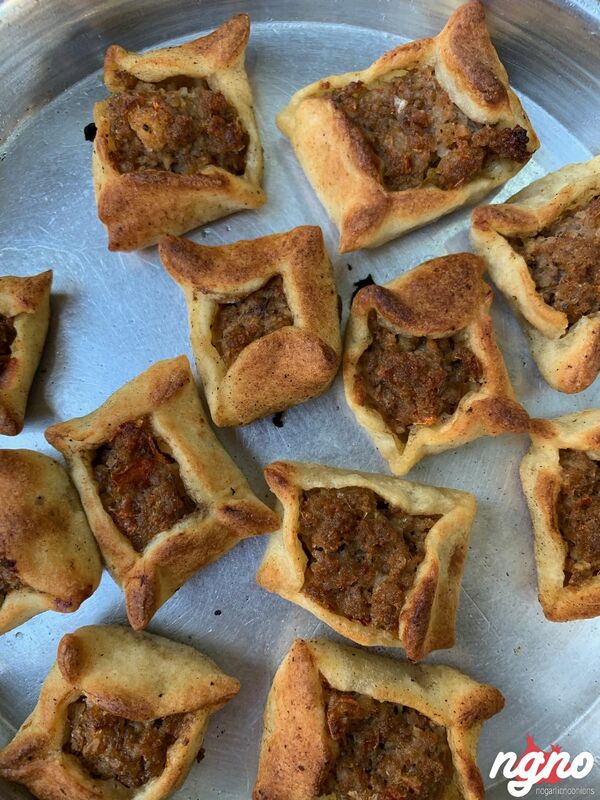 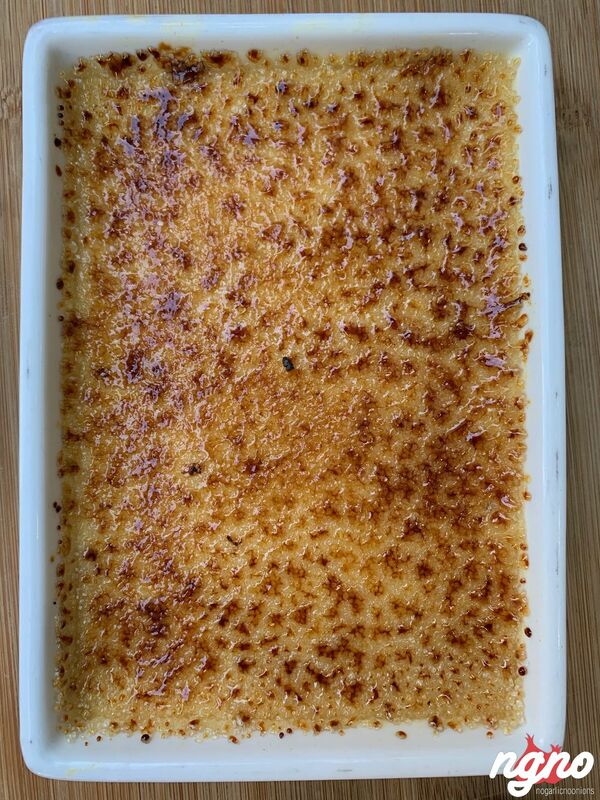 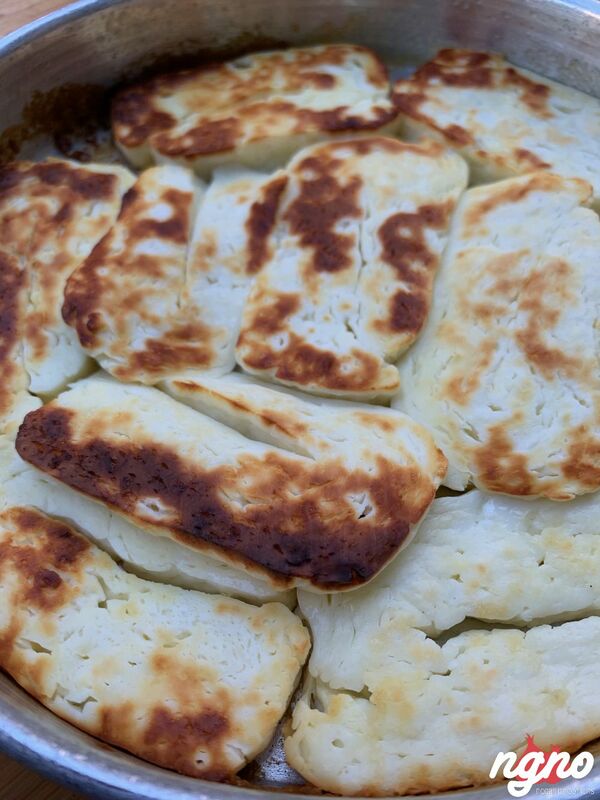 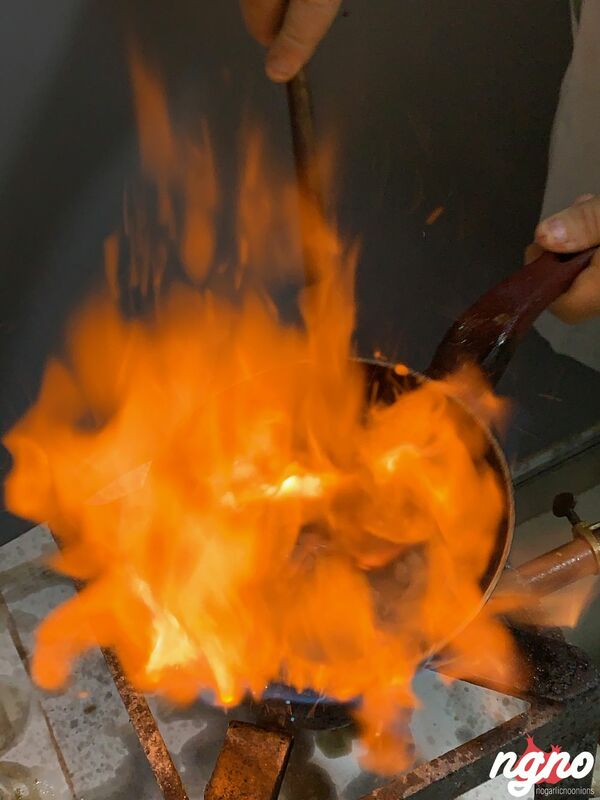 For starters, how about a base layer of super-toasty Lebanese bread crisped up like a pita chip? 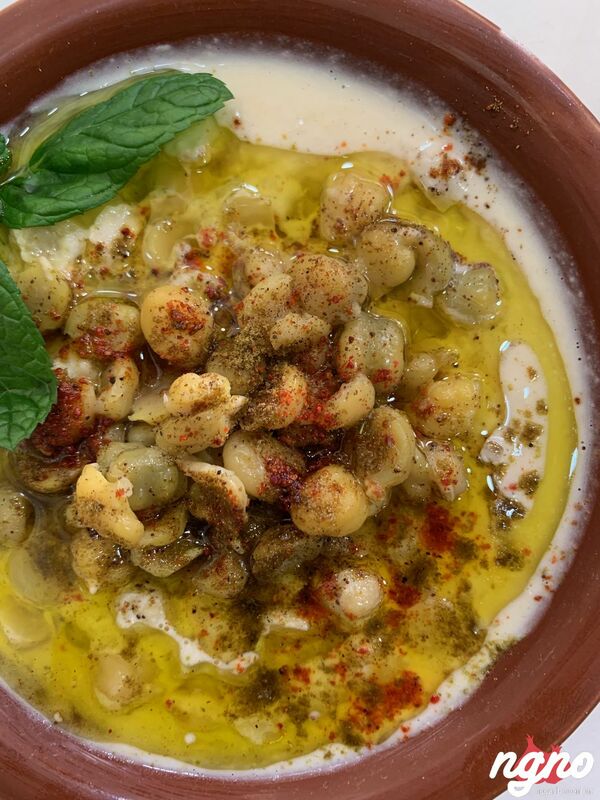 Then comes a healthy scoop of stewed chickpeas, followed by thick, salted, garlicky yogurt to fill in the cracks. 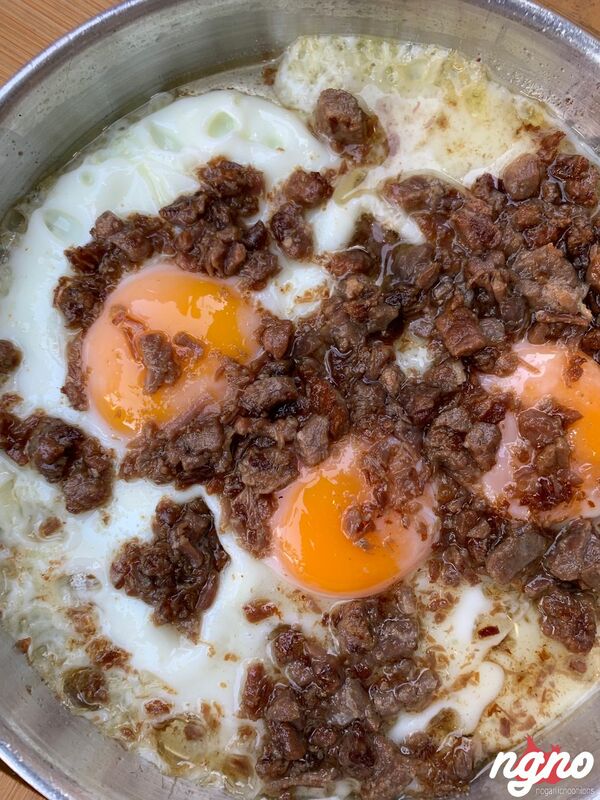 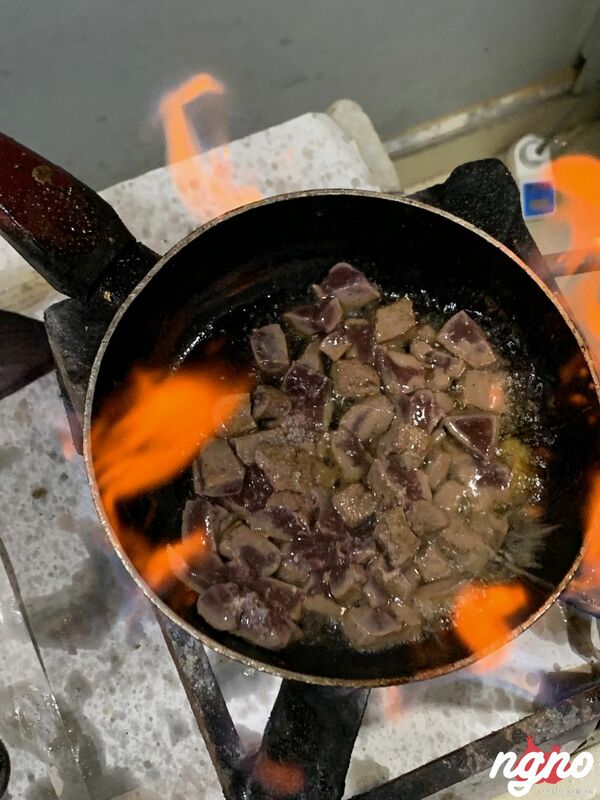 Fry up some almond slivers and pine nuts in lamb fat (this was so close to being healthy), then top the whole thing with more crispy chips and a drizzle of olive oil, and you can be done with life now. 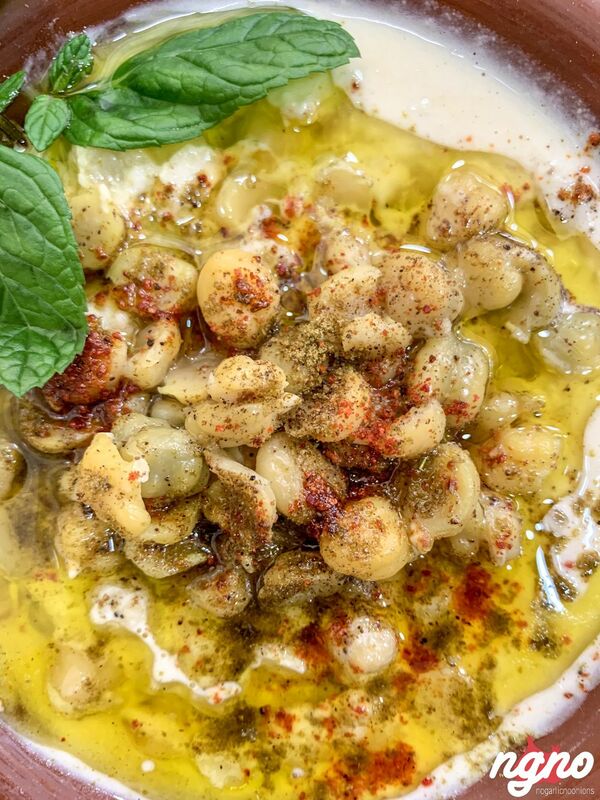 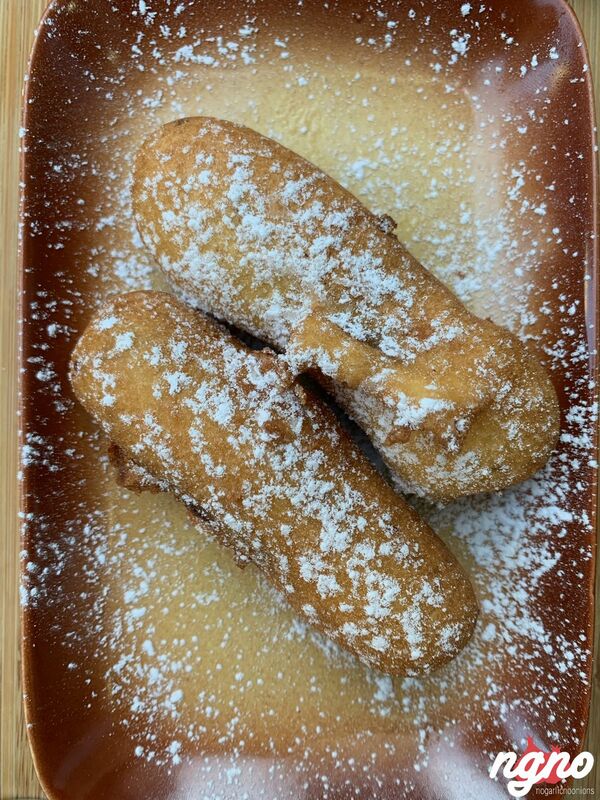 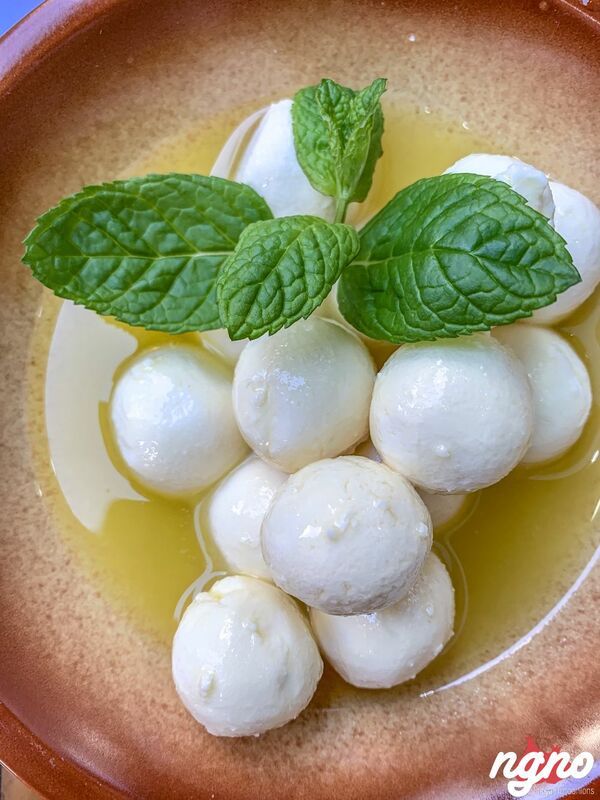 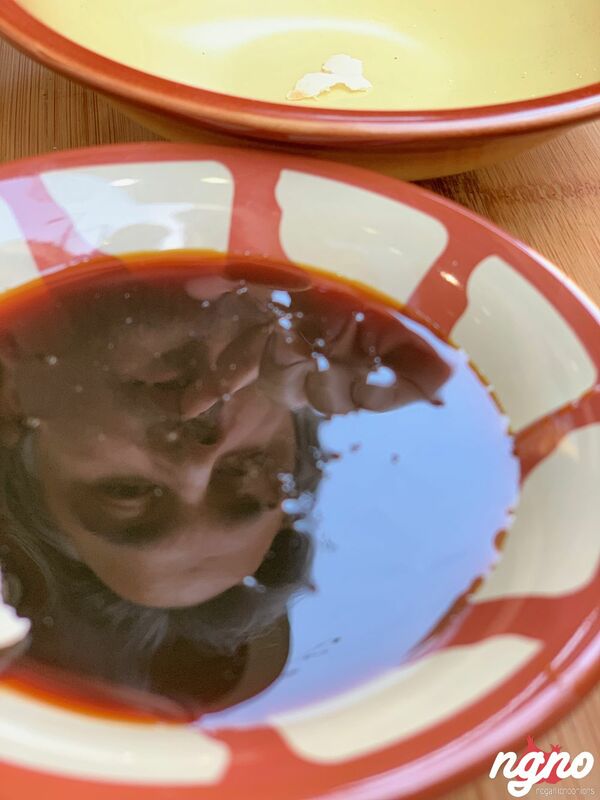 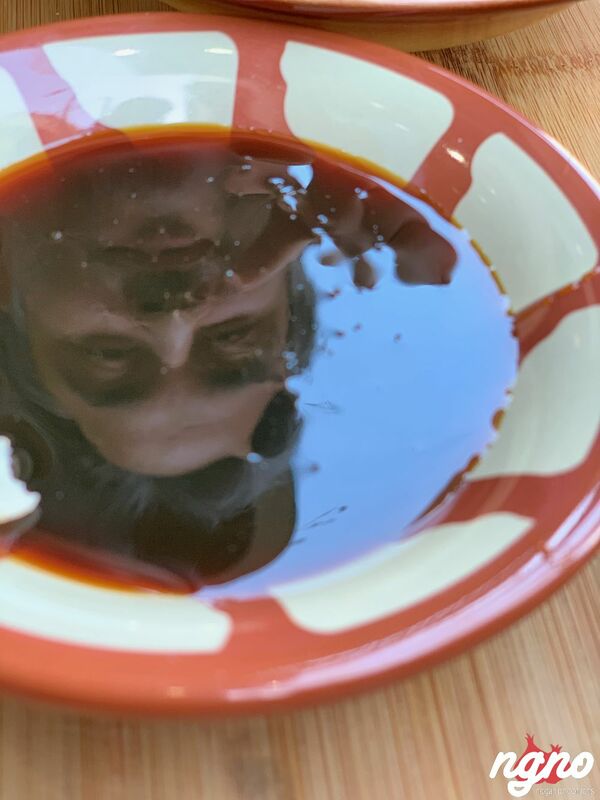 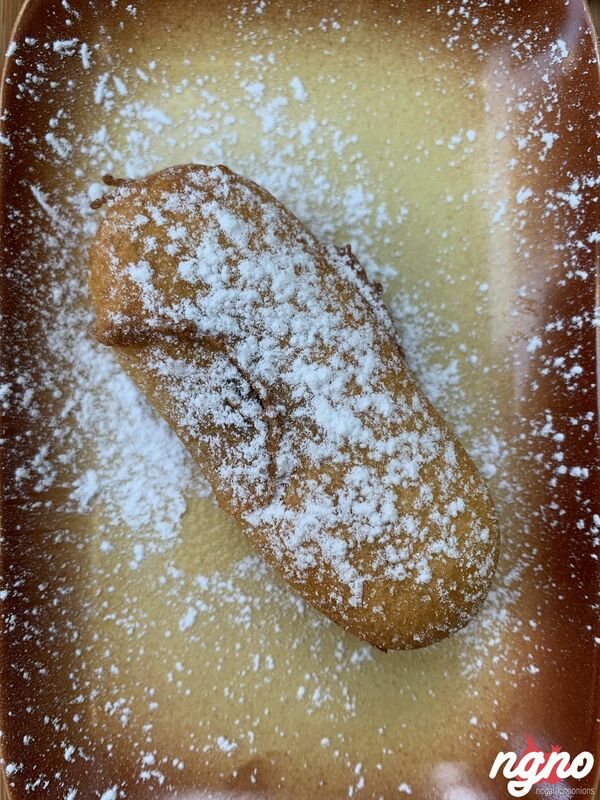 Pro tip: Don’t forget to try the dibis after your meal: It’s a date syrup and tahini mixture that will rescue your garlic-bombed palate.